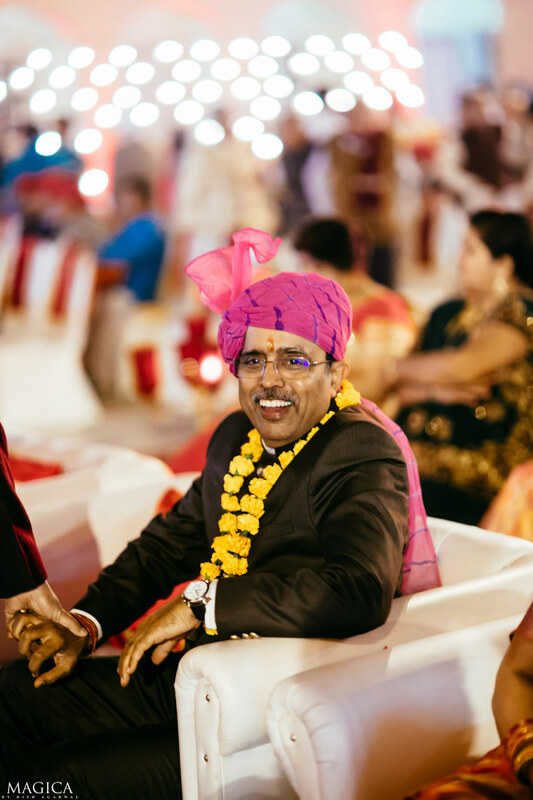 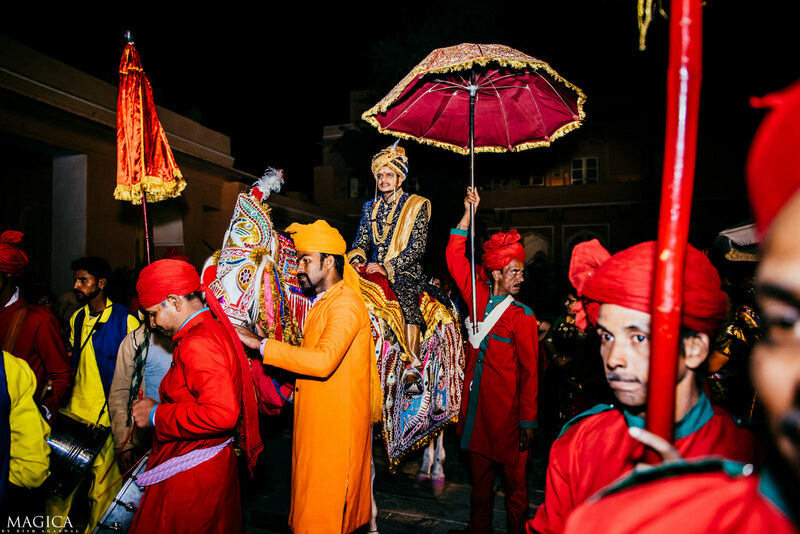 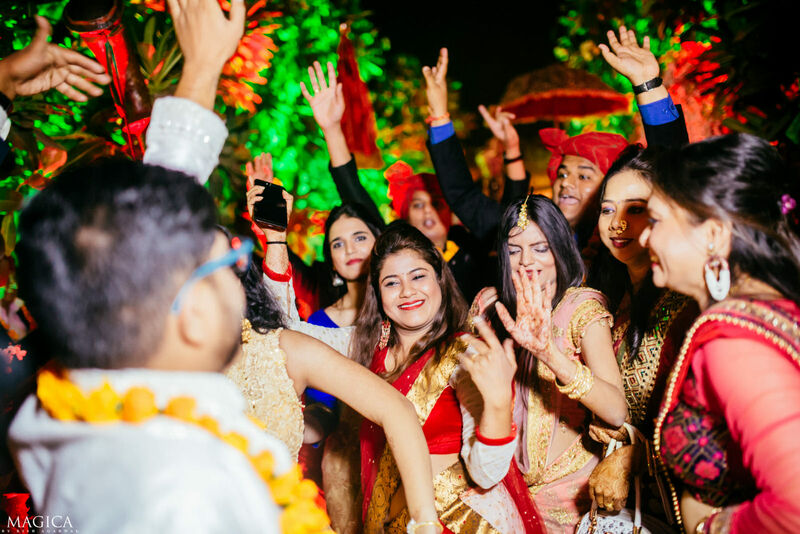 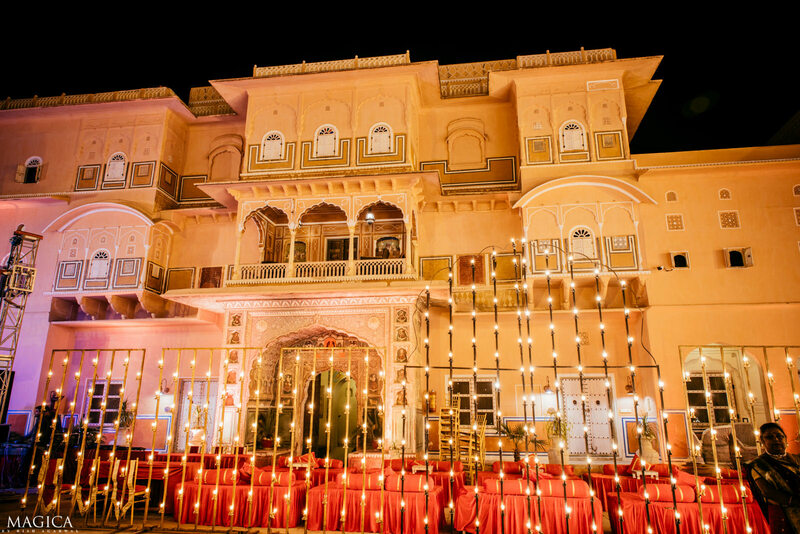 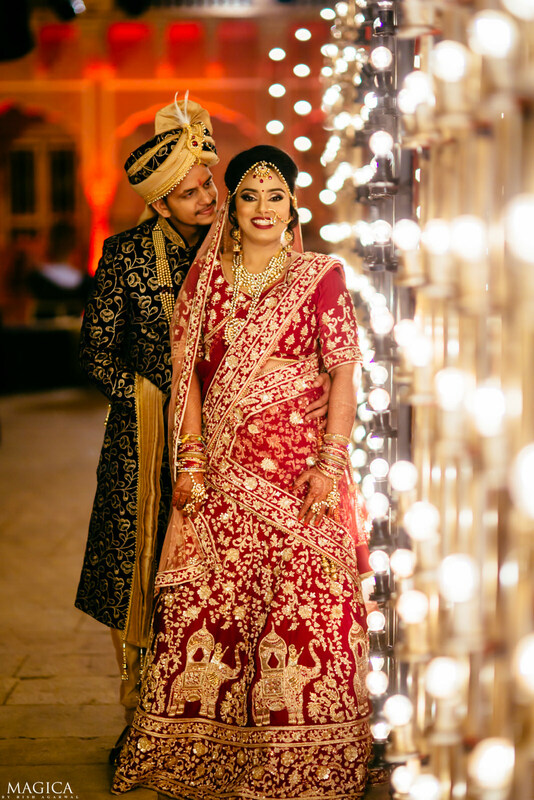 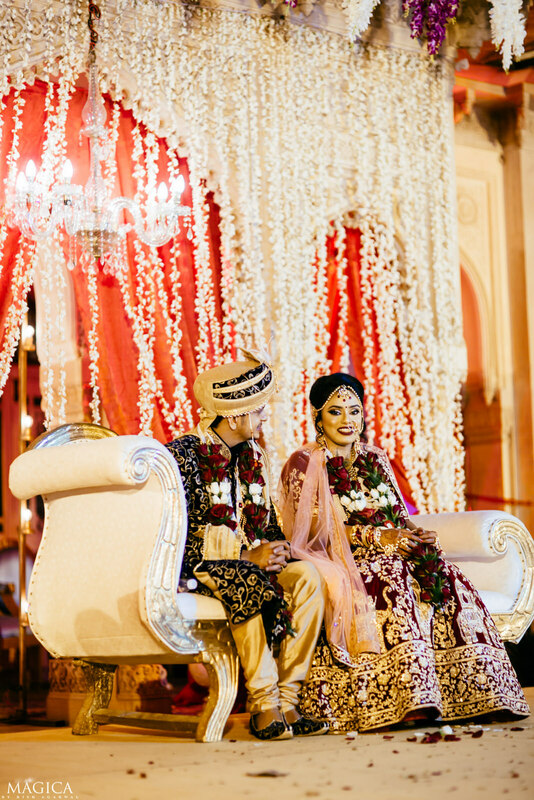 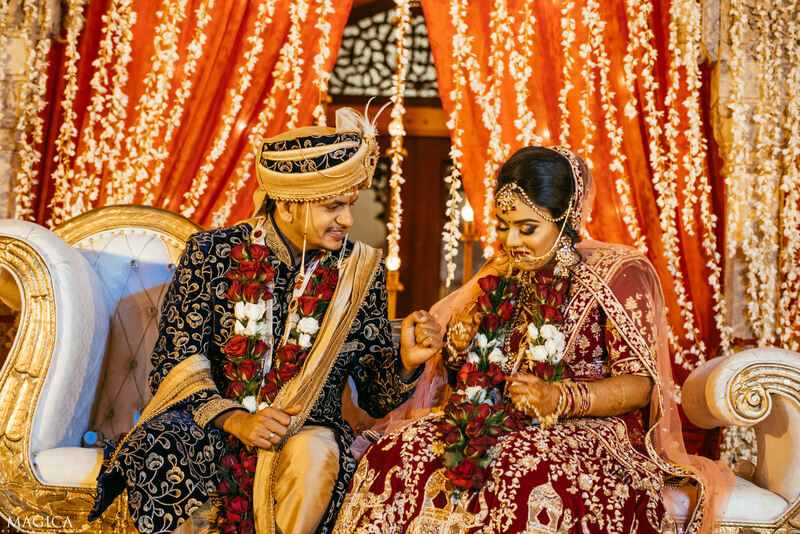 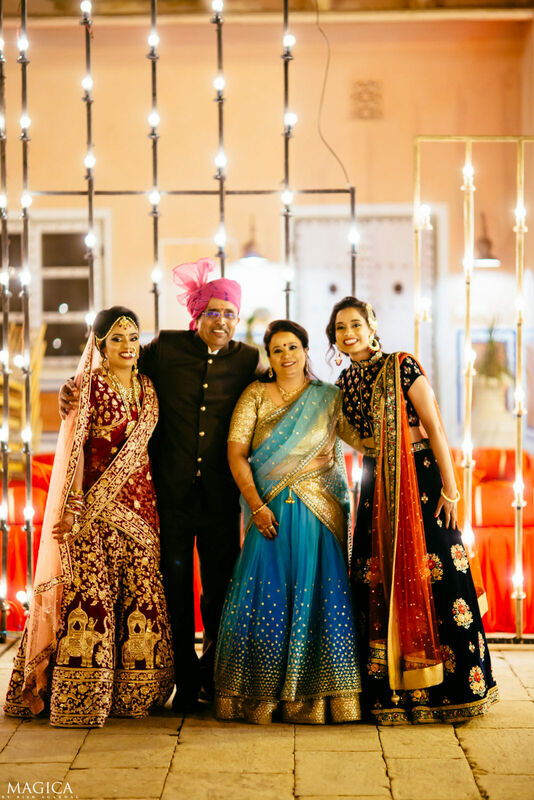 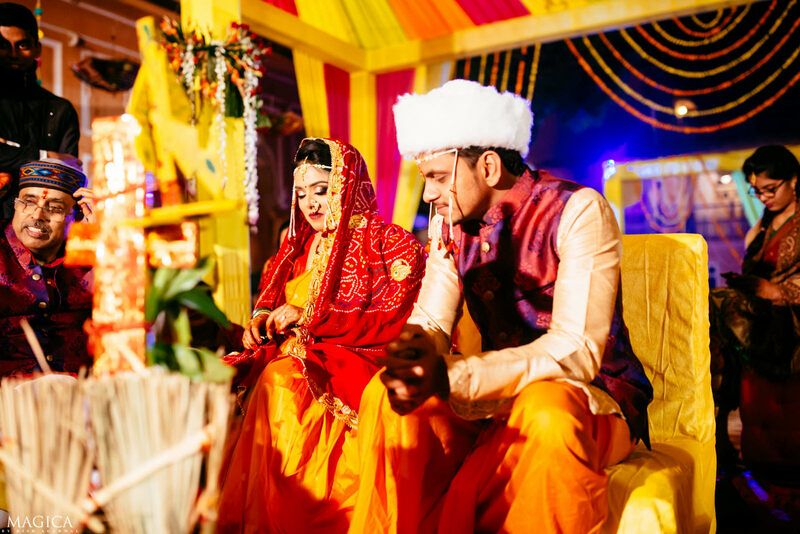 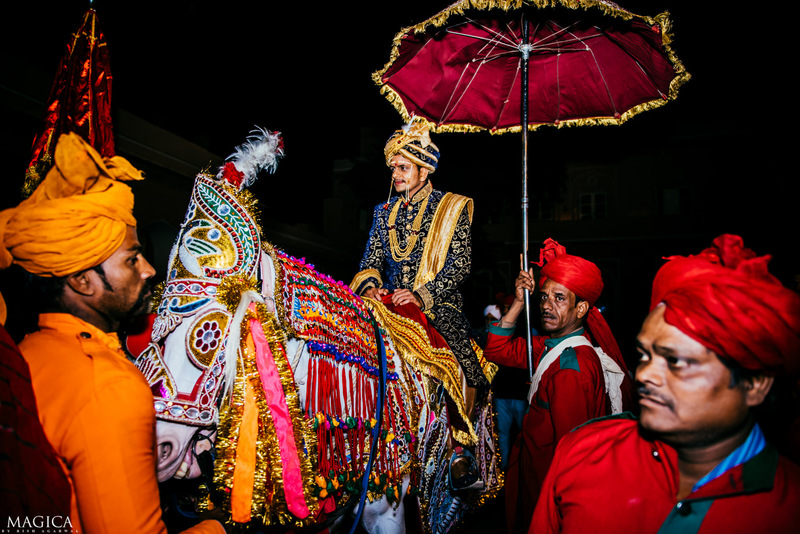 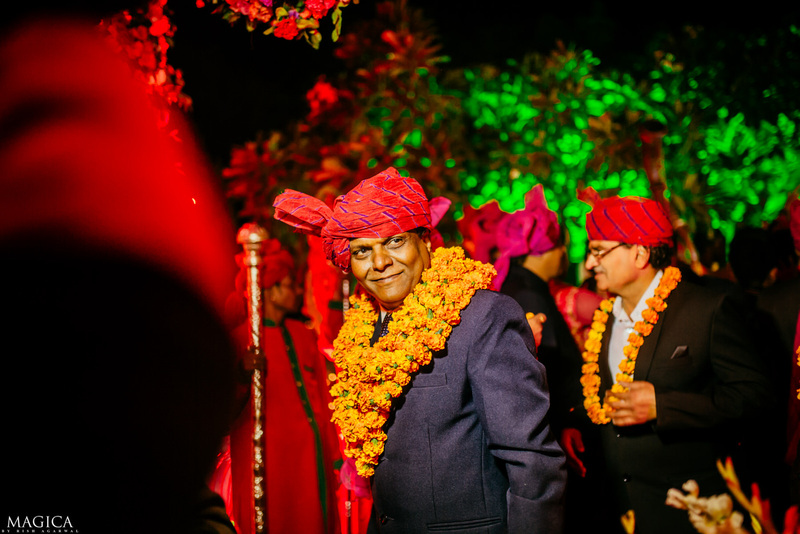 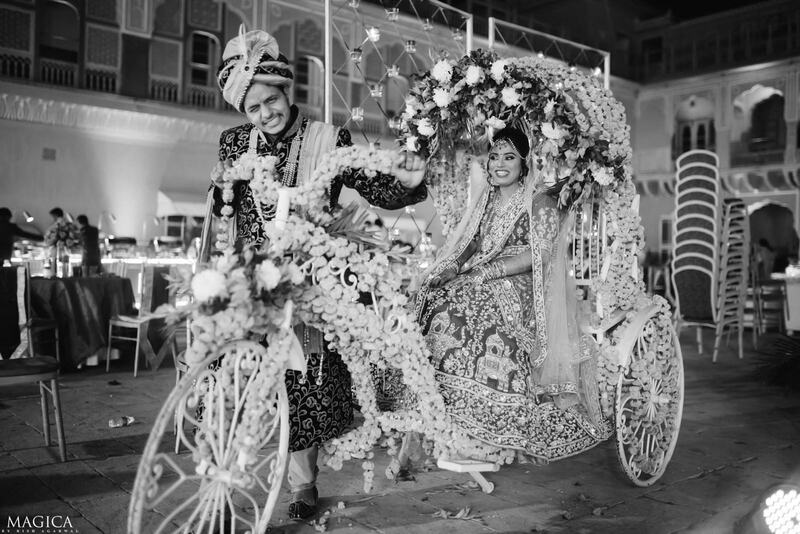 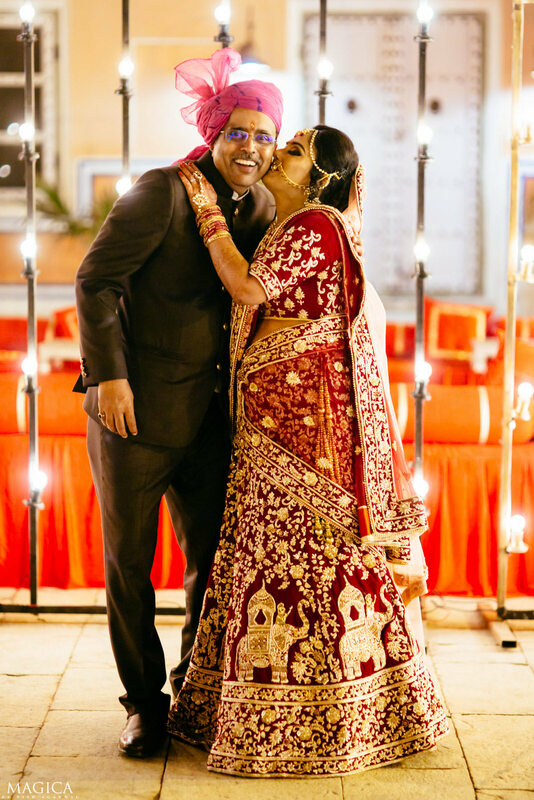 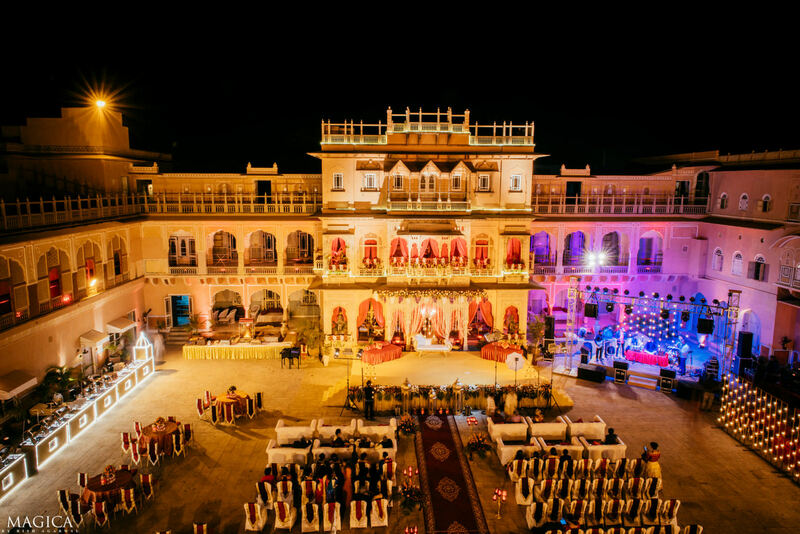 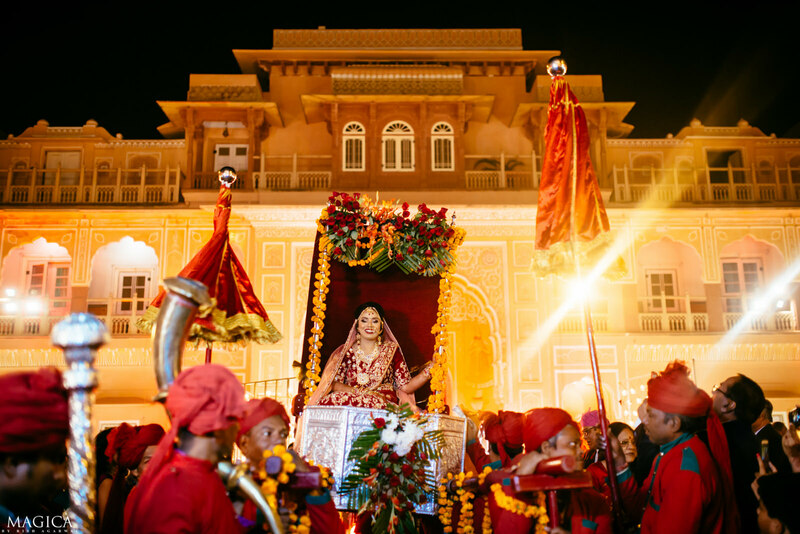 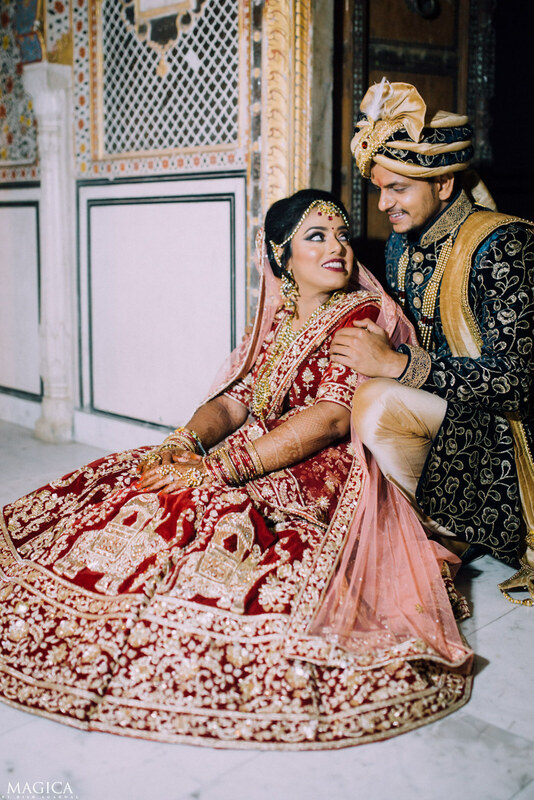 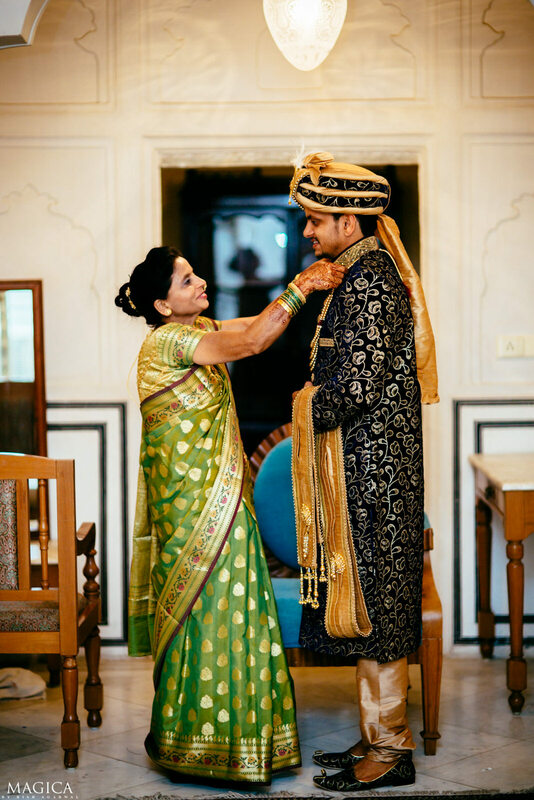 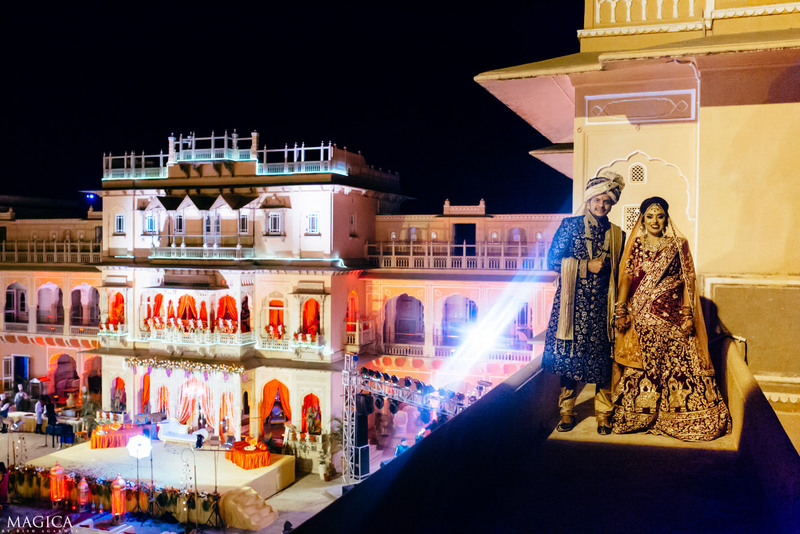 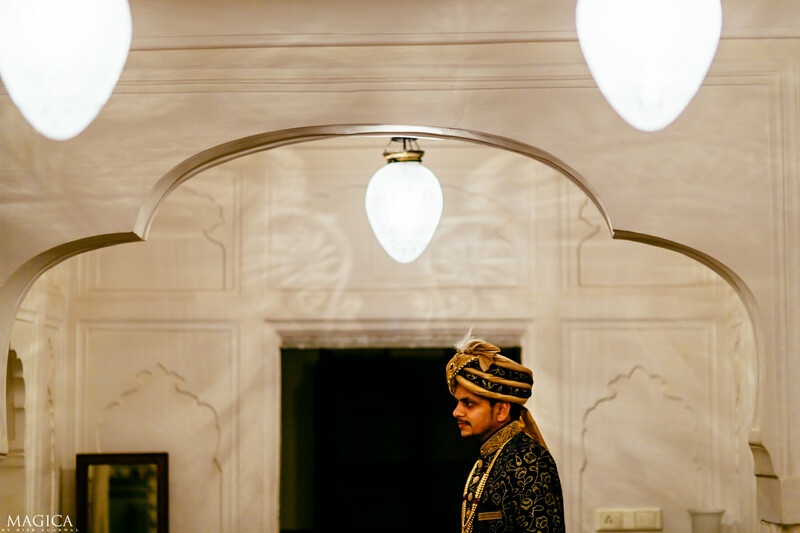 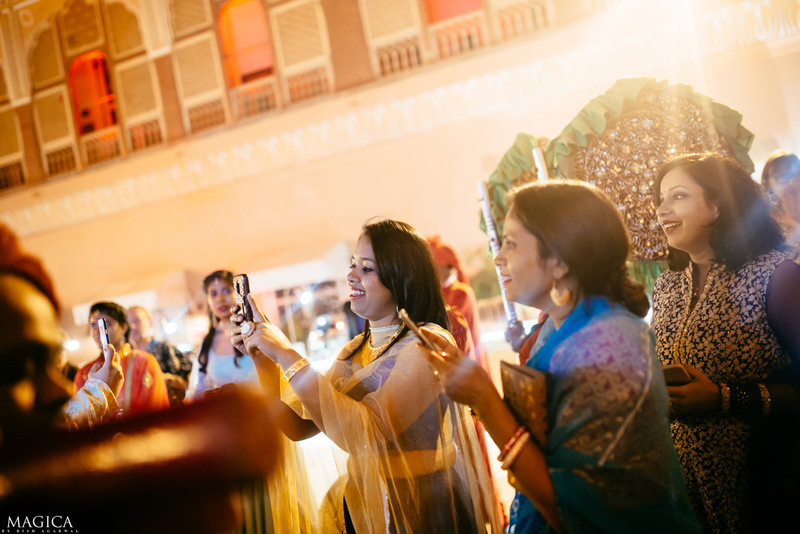 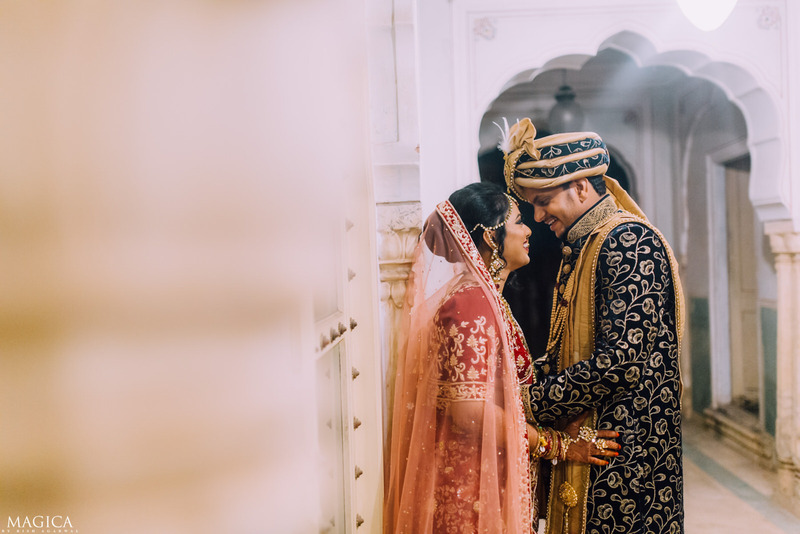 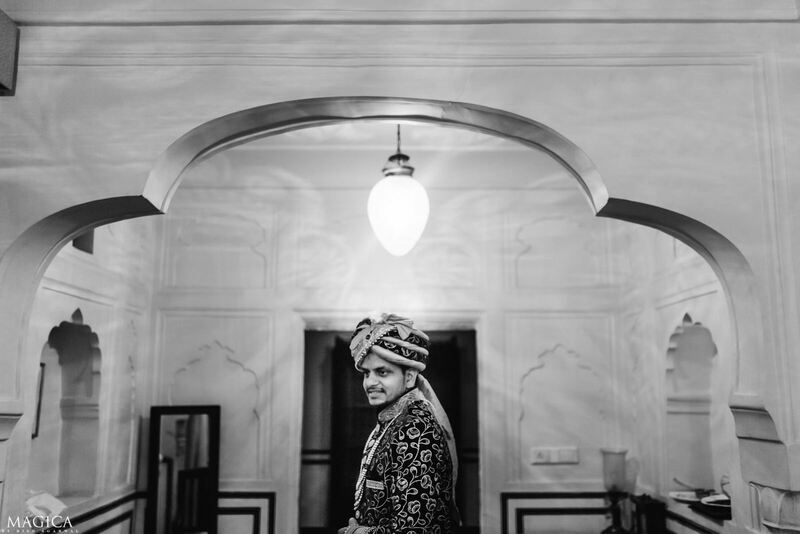 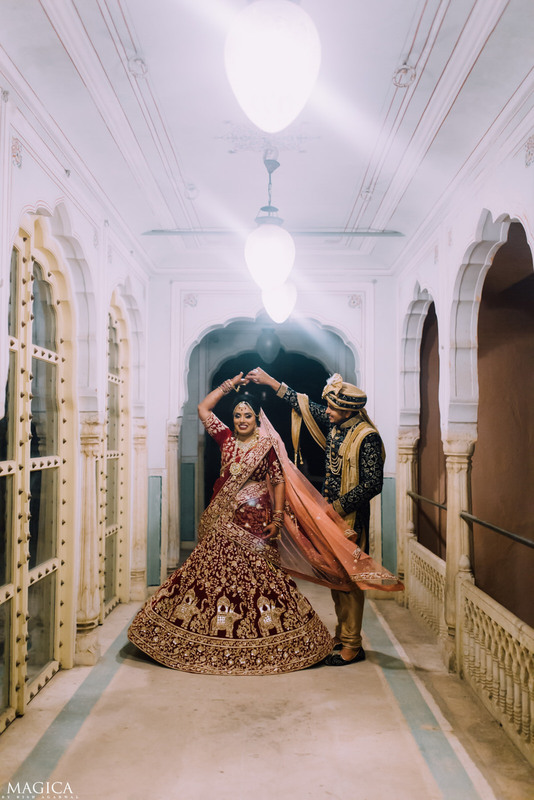 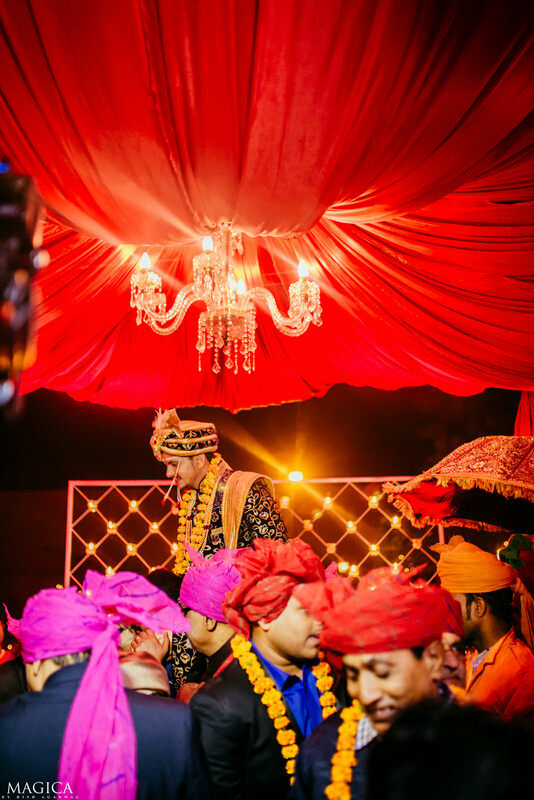 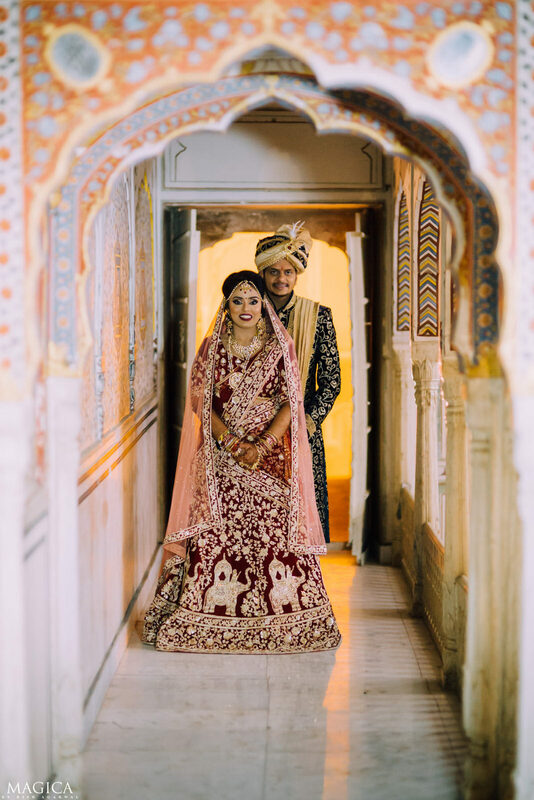 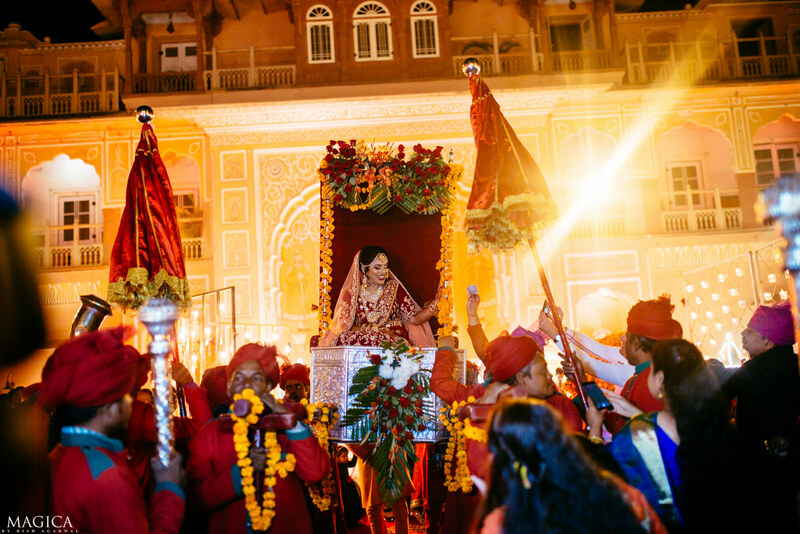 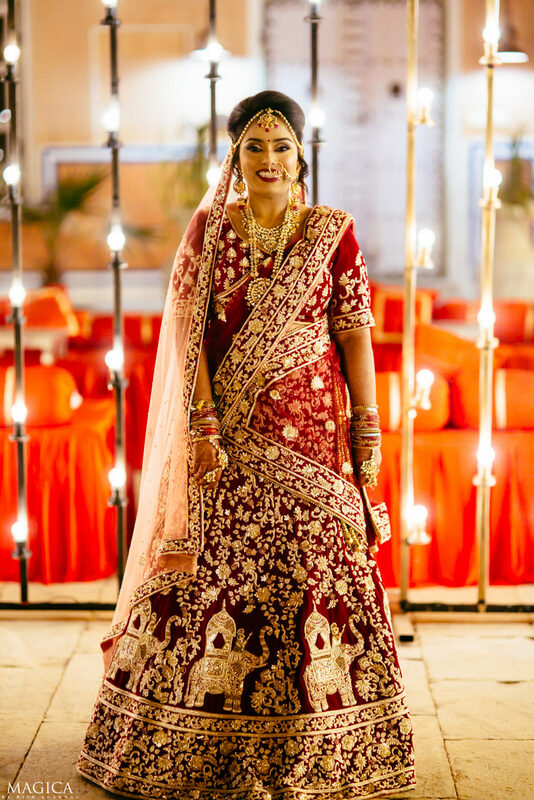 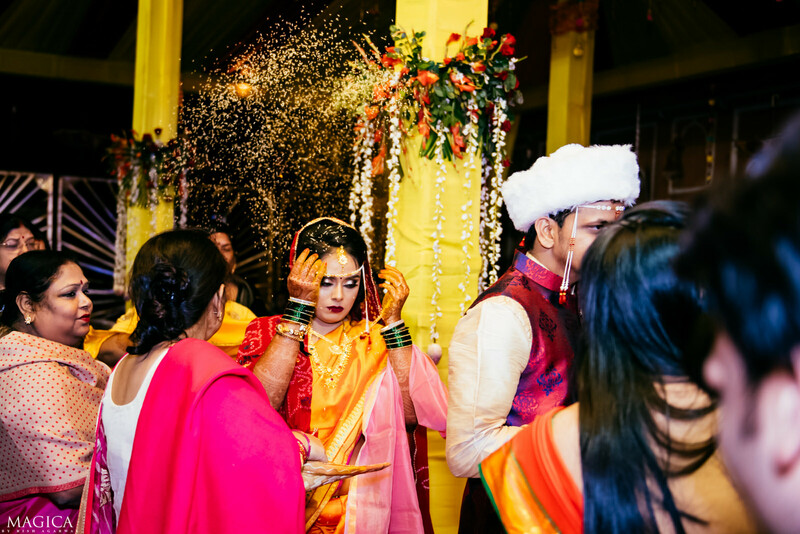 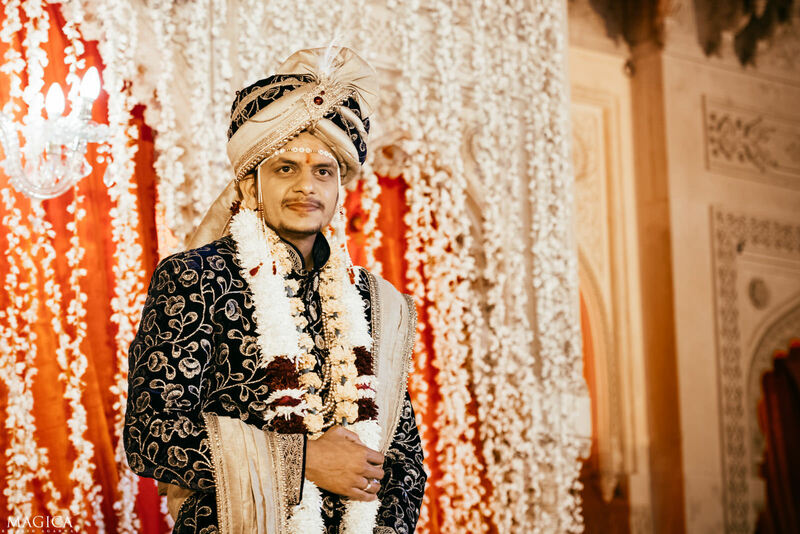 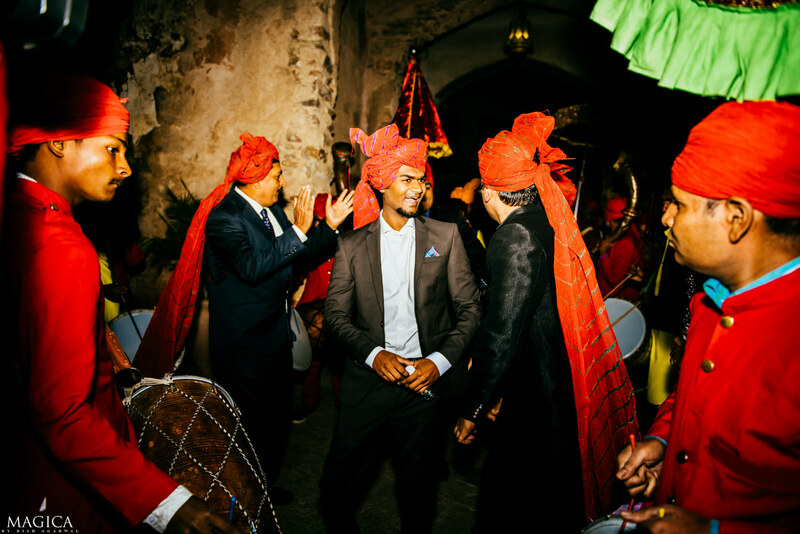 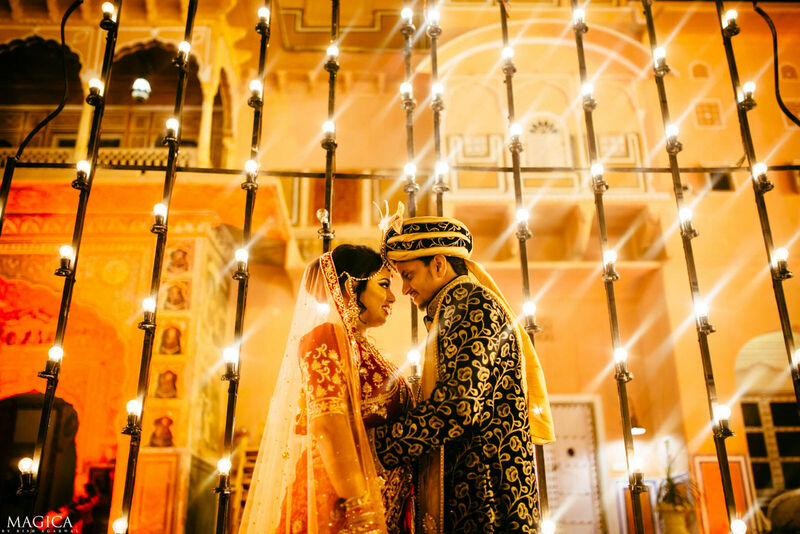 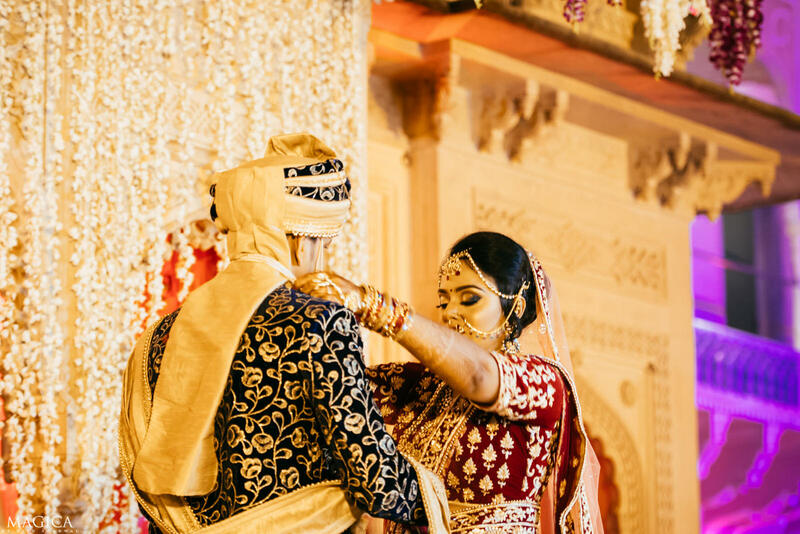 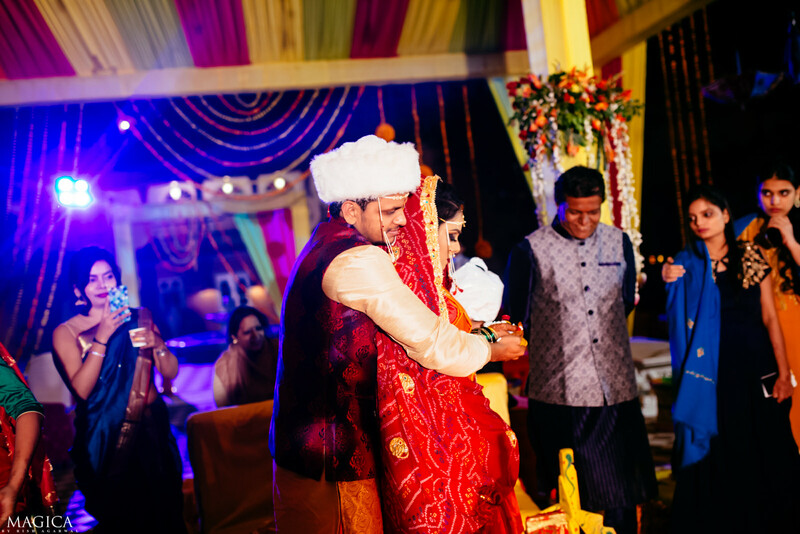 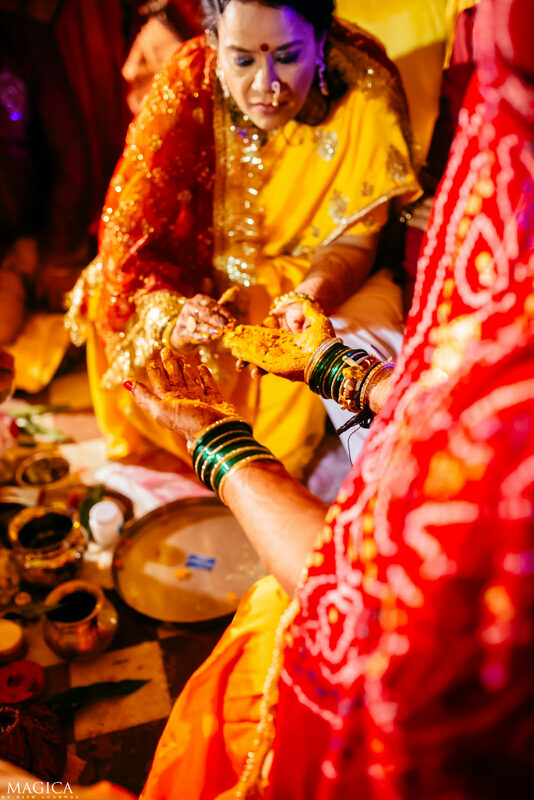 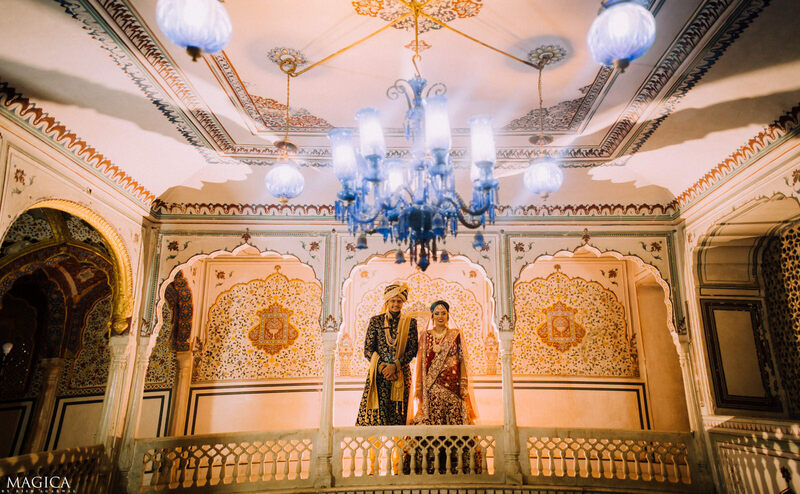 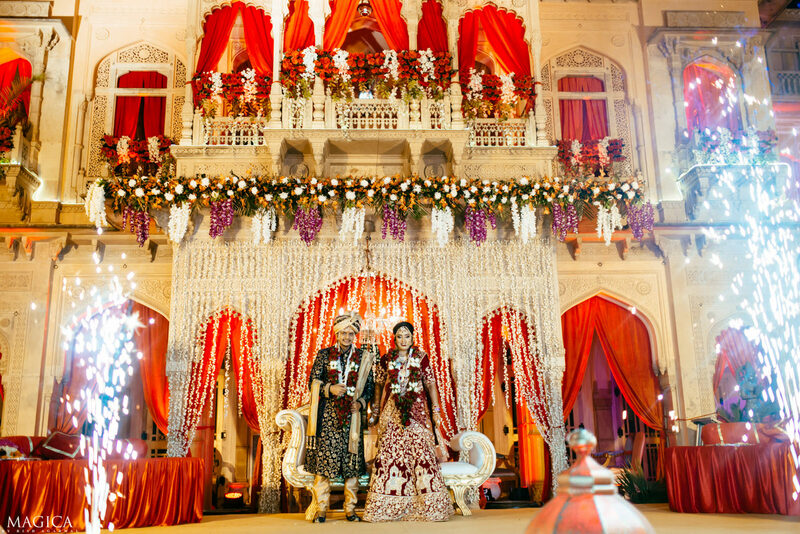 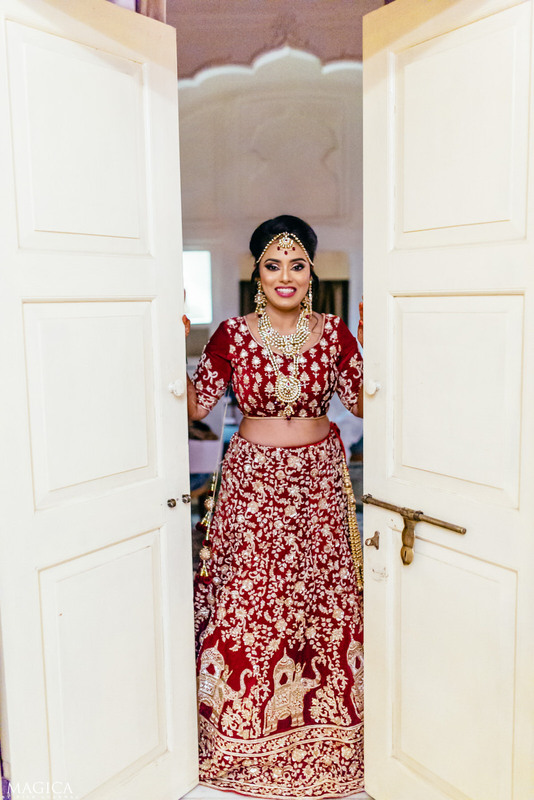 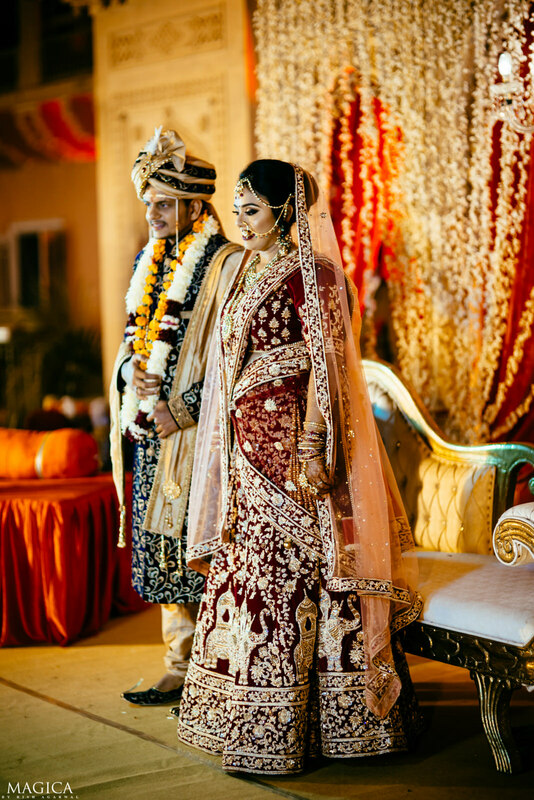 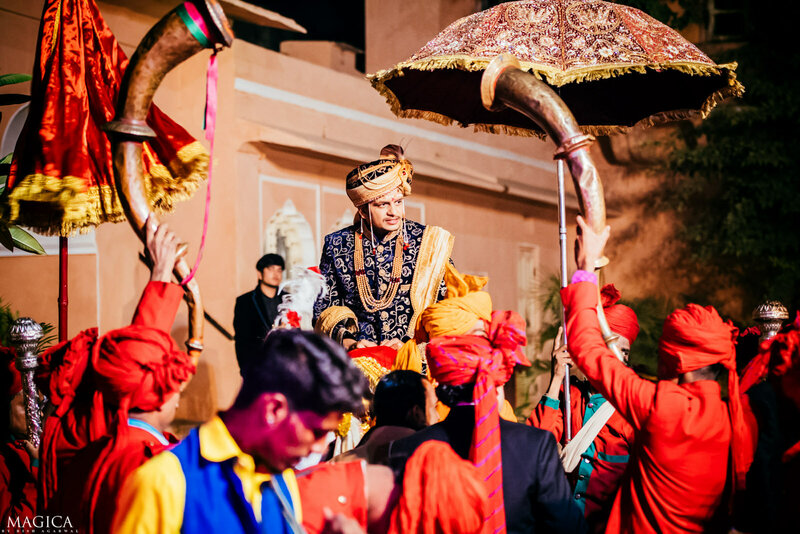 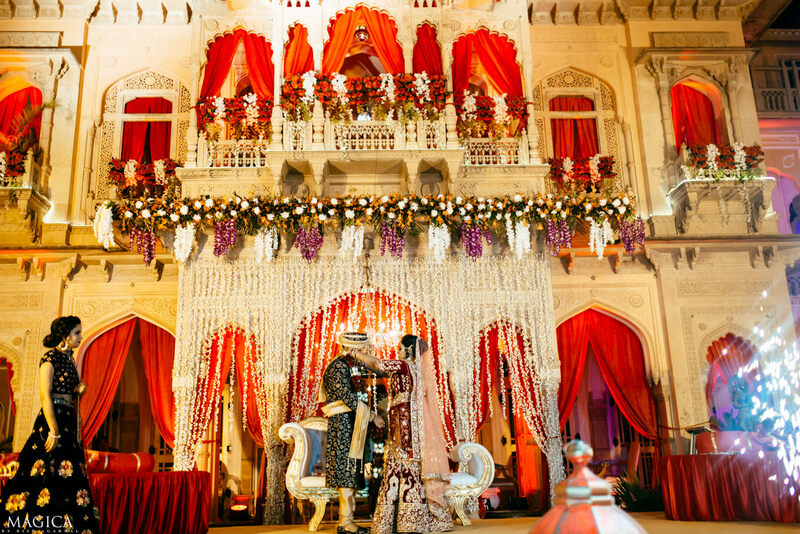 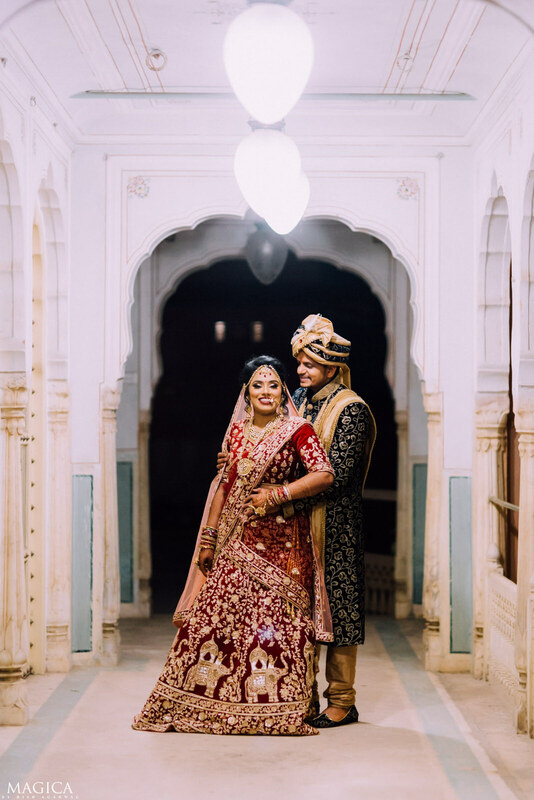 The backdrop of the majestic Chomu Palace of Jaipur added to the grandeur of this destination wedding. 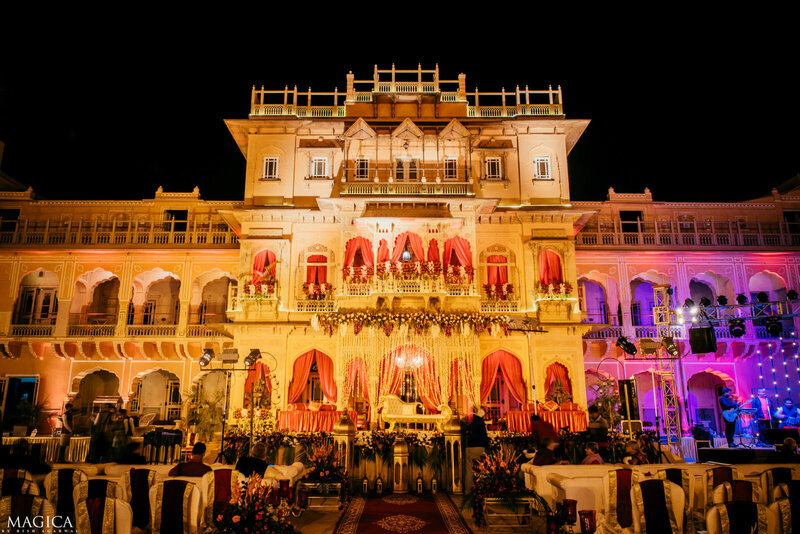 For all of you brides out there dreaming of getting married in a palace, you can take notes from this wedding because it was so flawlessly planned and executed by everyone! 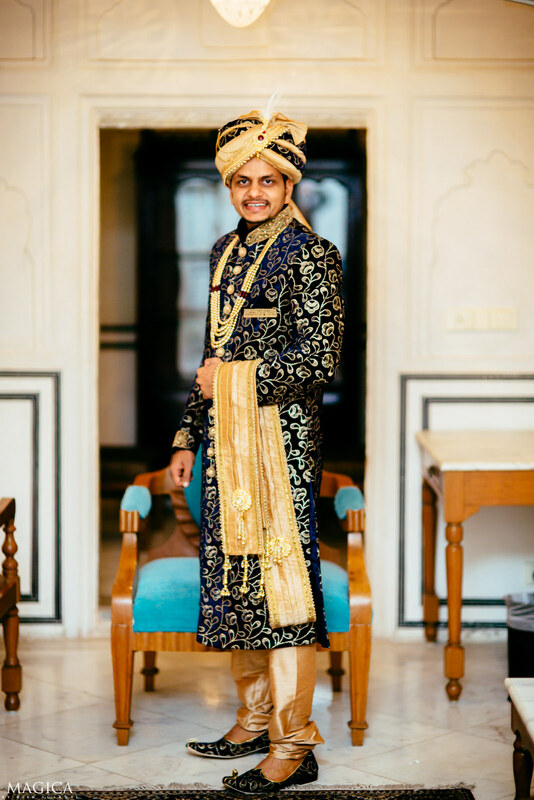 And we started with meeting Aniket who just got ready for the big day! 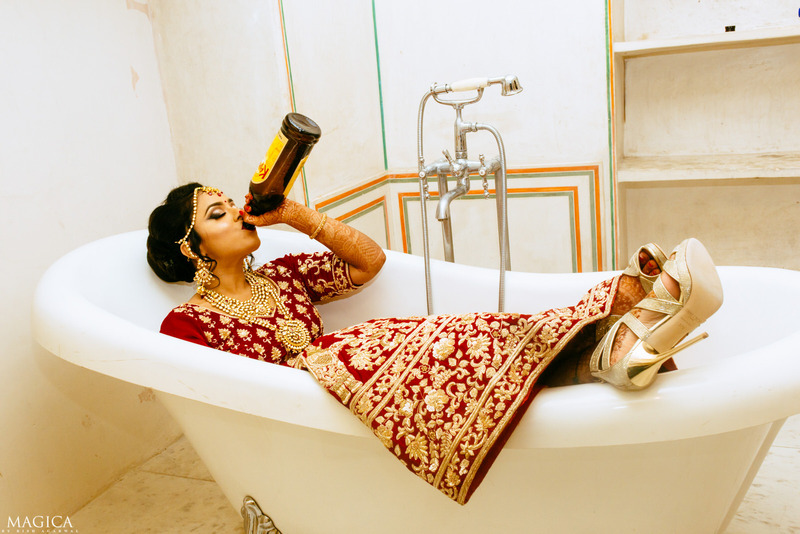 But nothing gets completed before mom gives those finishing touches right? 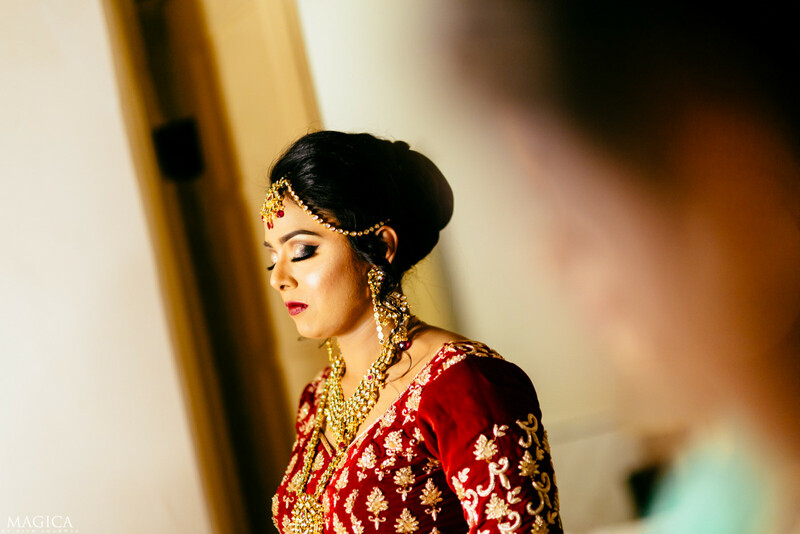 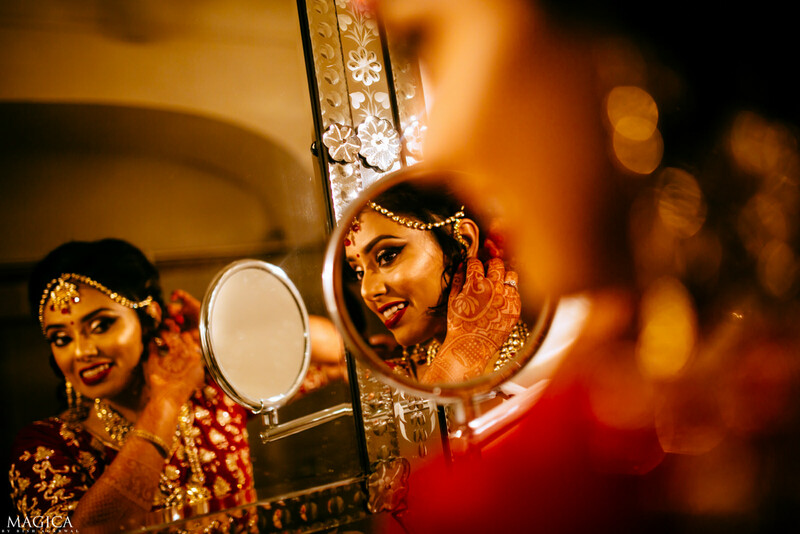 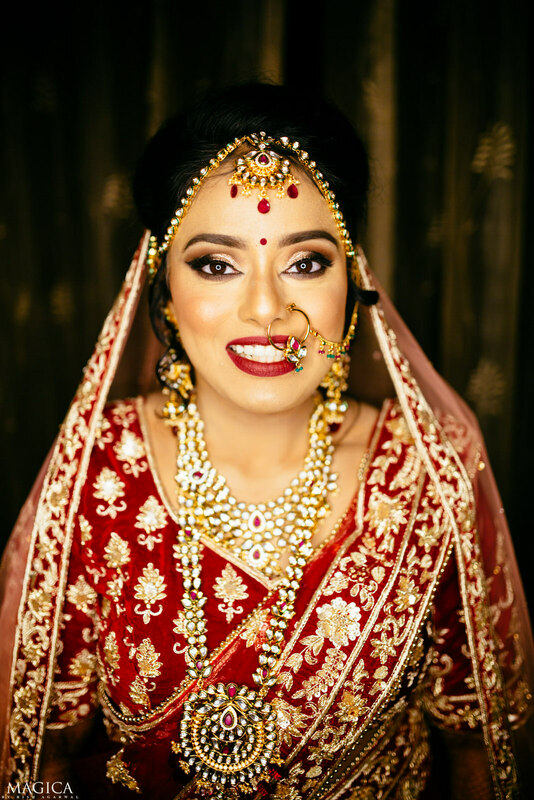 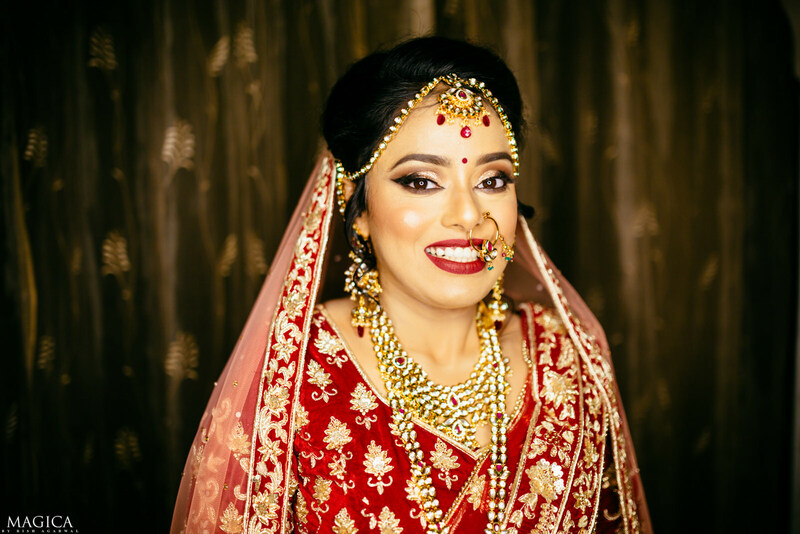 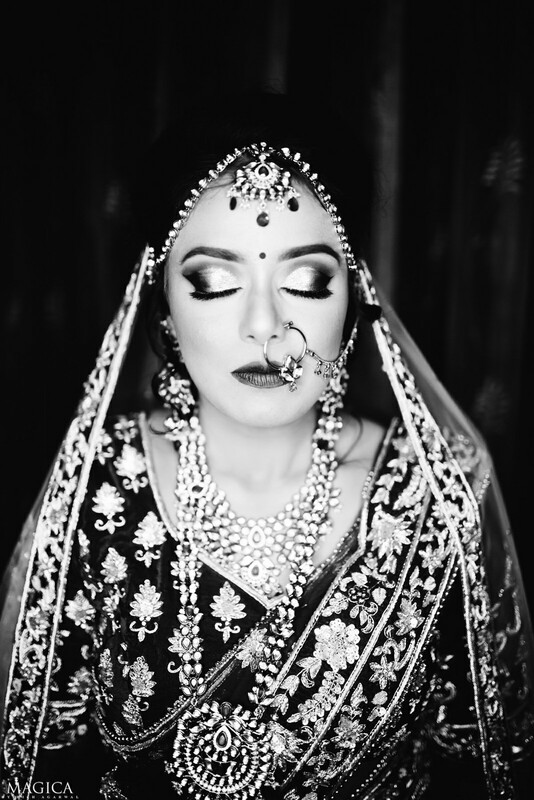 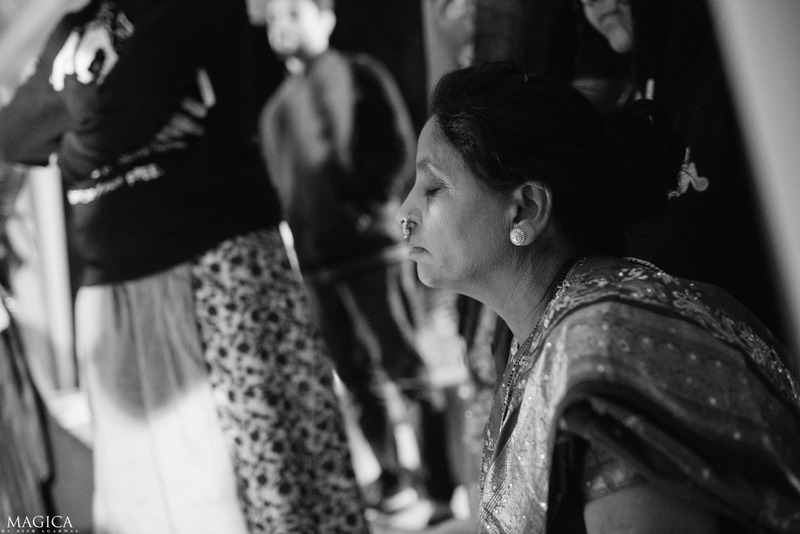 Just before making that entry, it was again time to create some of those timeless portraits of her getting ready! 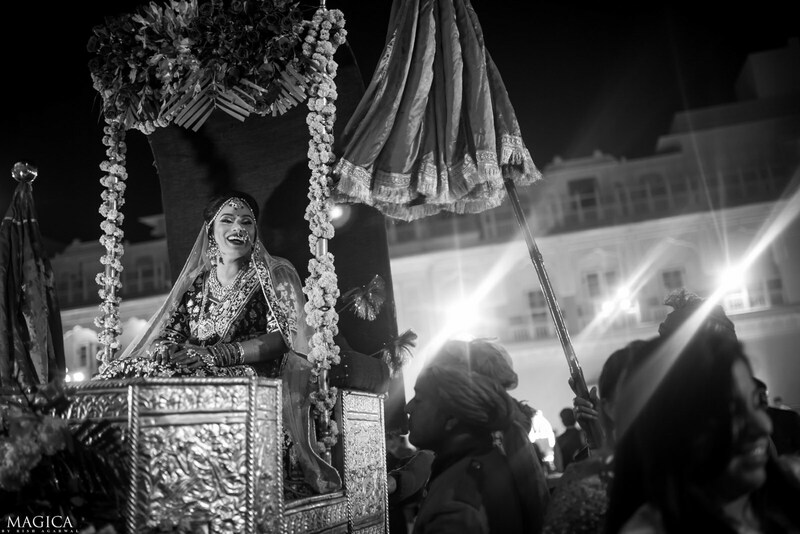 And it was time for the Baarat! 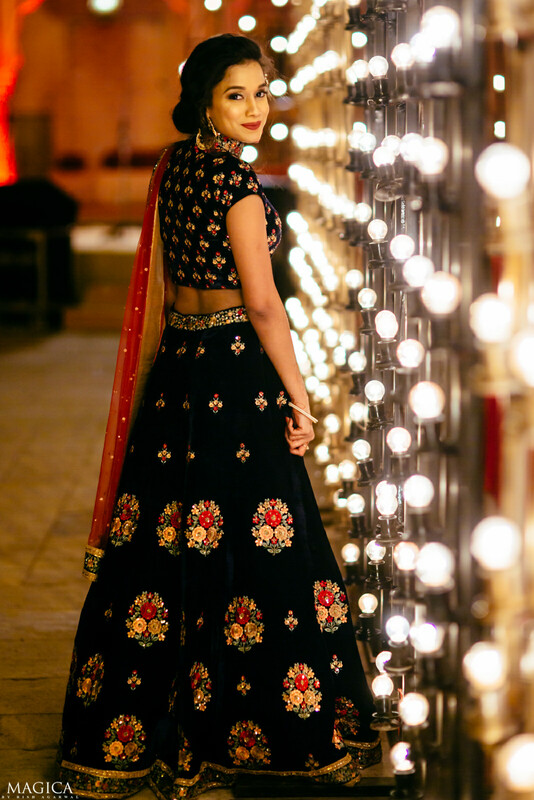 While Sneha couldn’t have looked more stunning! 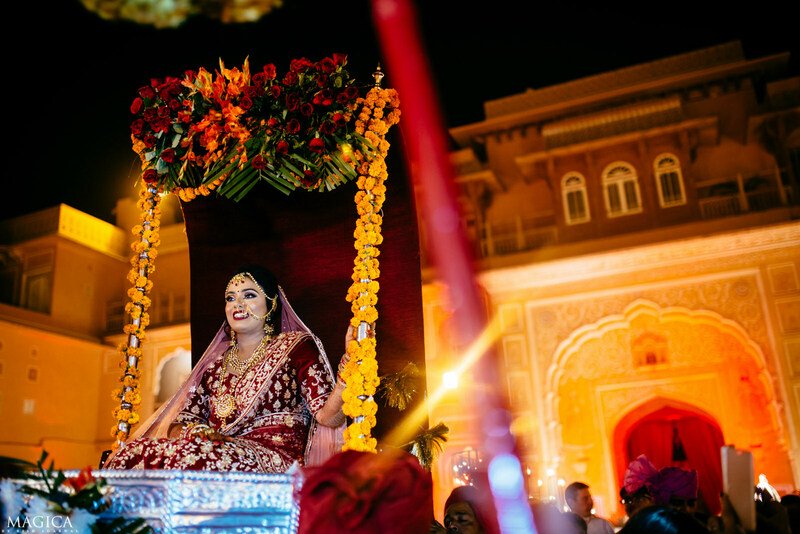 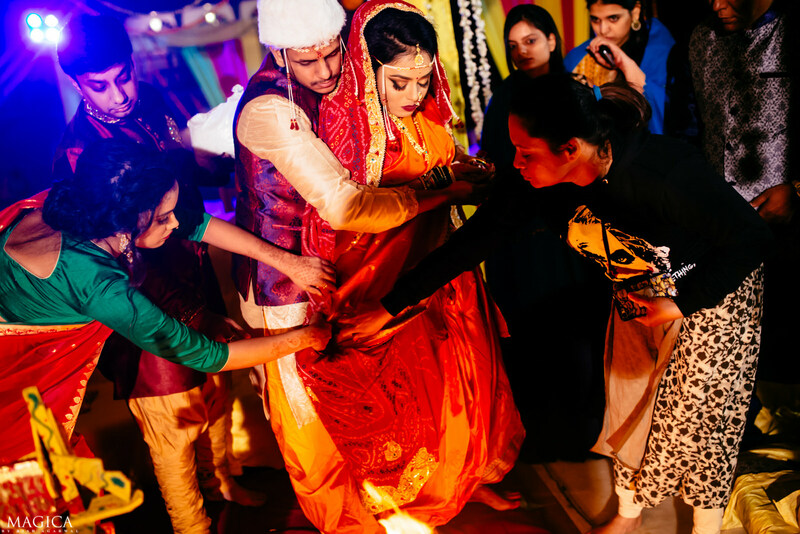 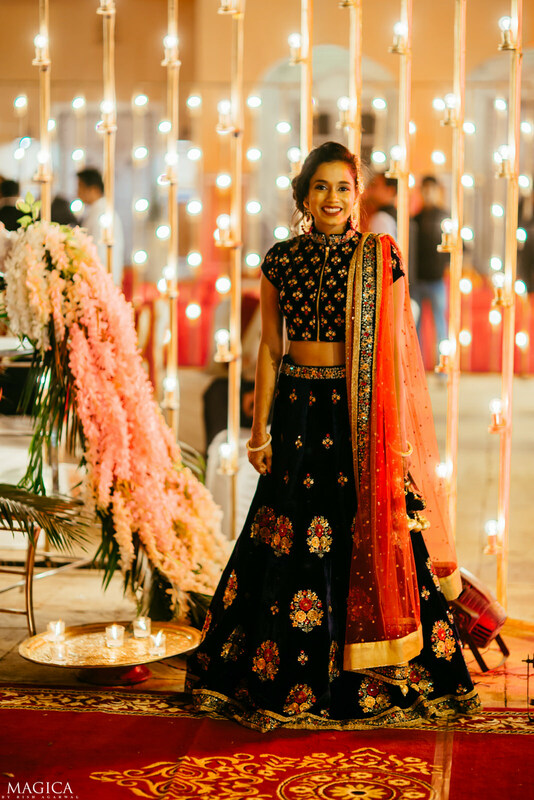 And if that wasn’t stunning enough, she also made this grand entry! 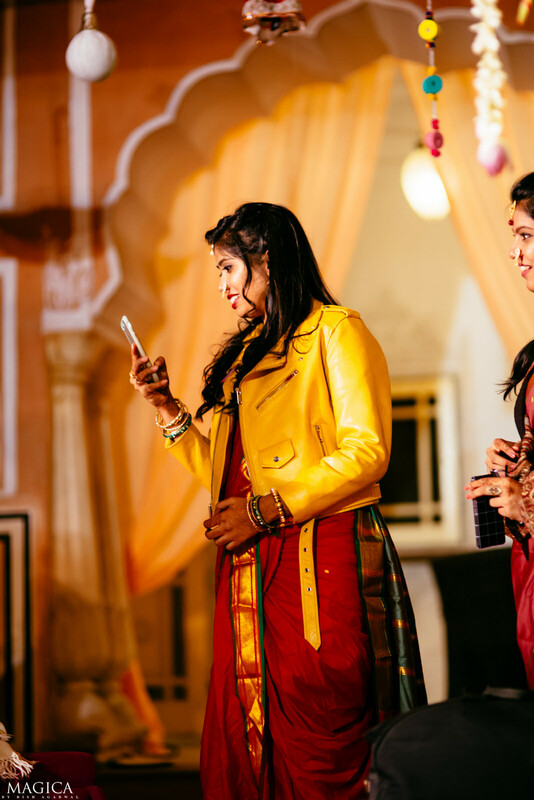 And we stole them away again to make some Epictures! 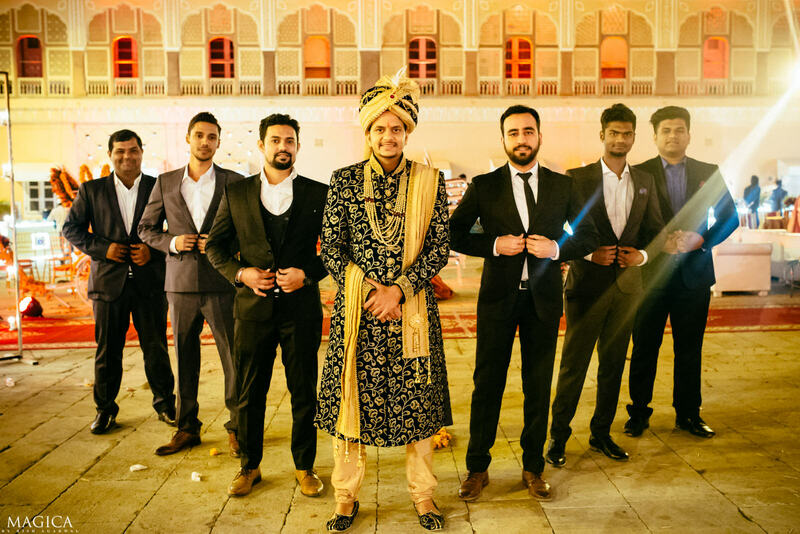 And the groom squad with all the swag! 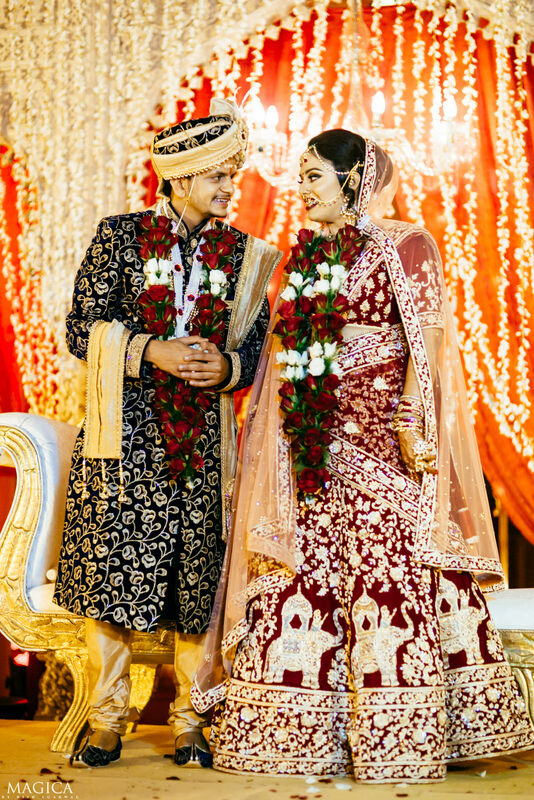 And then it was finally time for the feras! 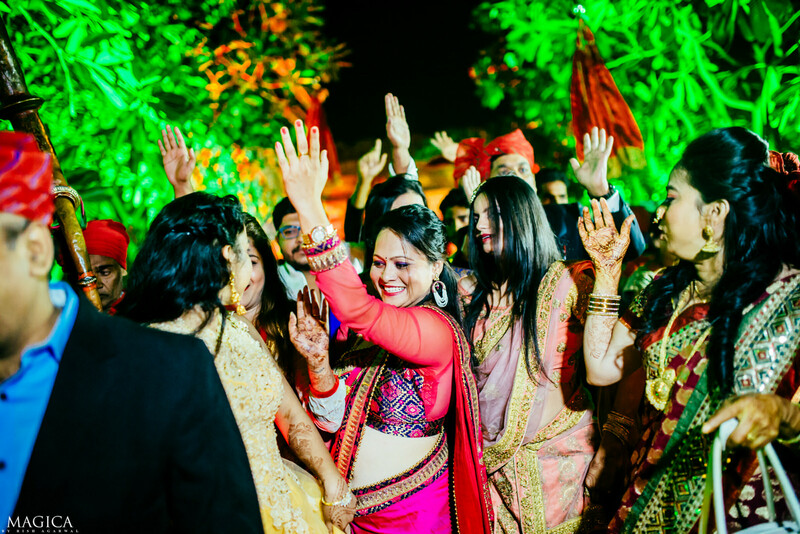 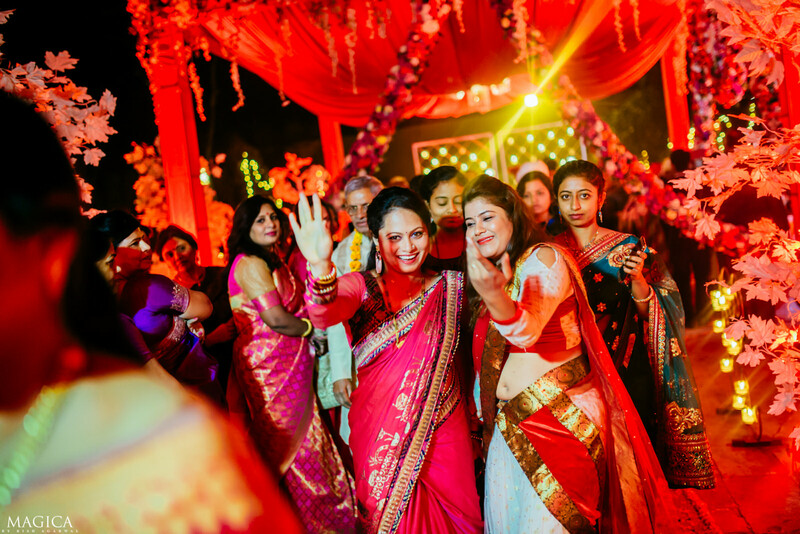 Since it was a mix of two cultures, all the ladies were dressed in traditional Marathi lavani attires! 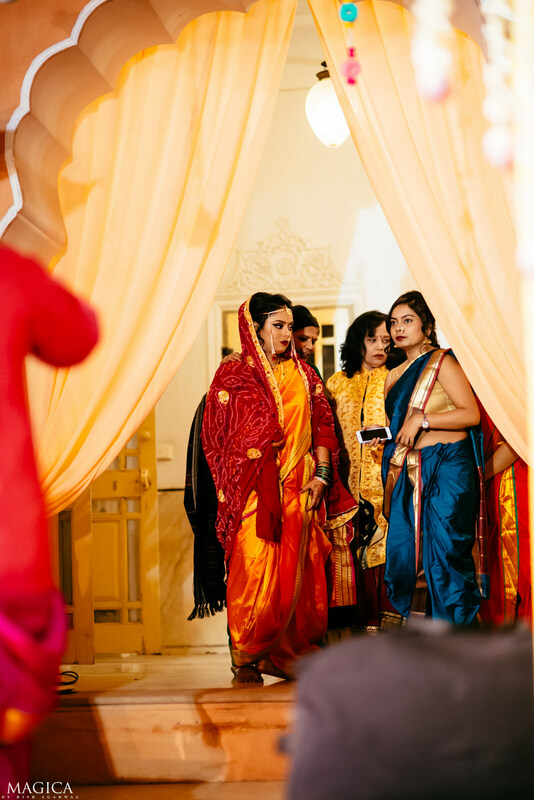 With the bride herself too! 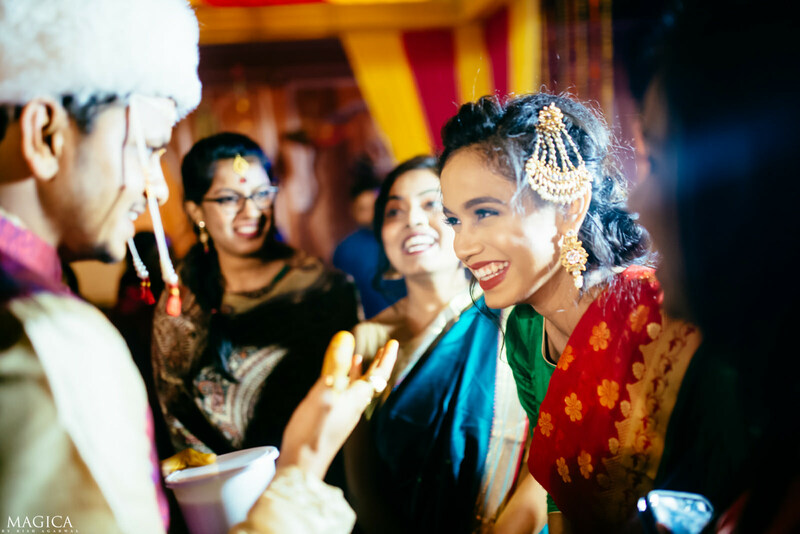 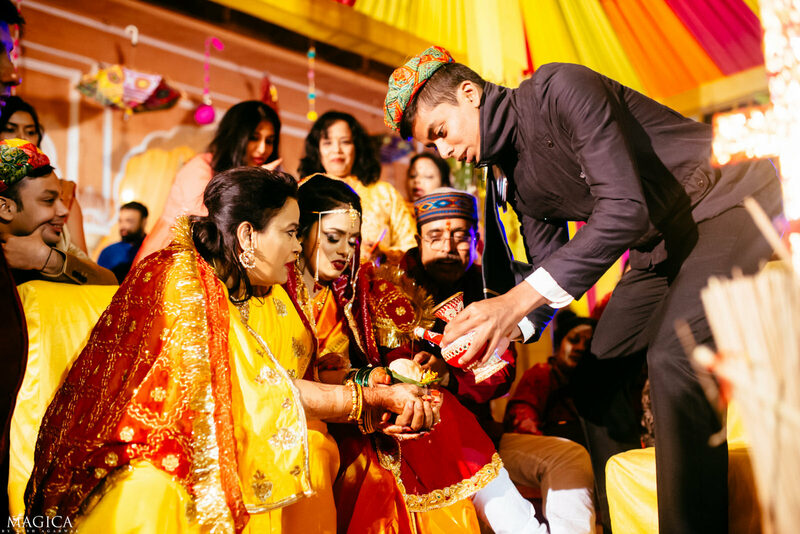 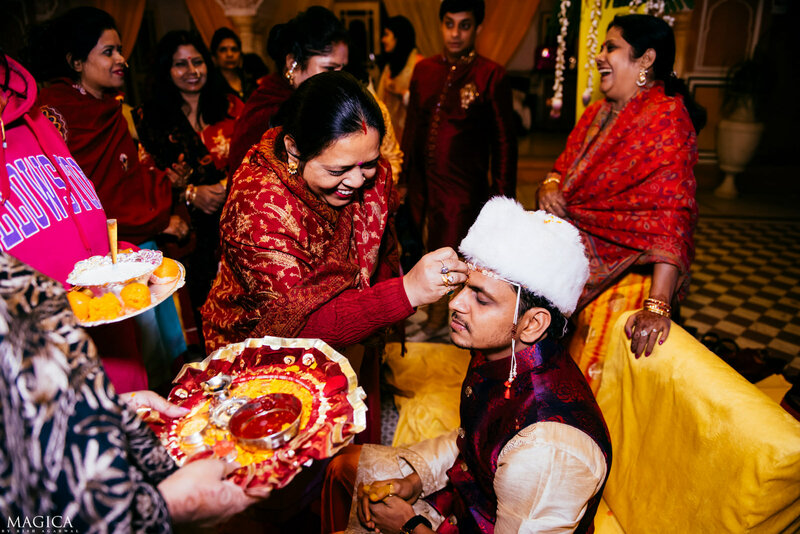 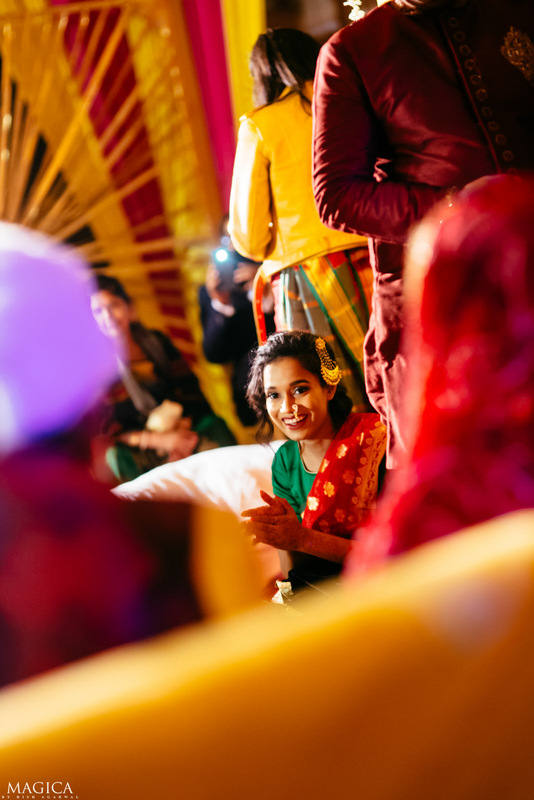 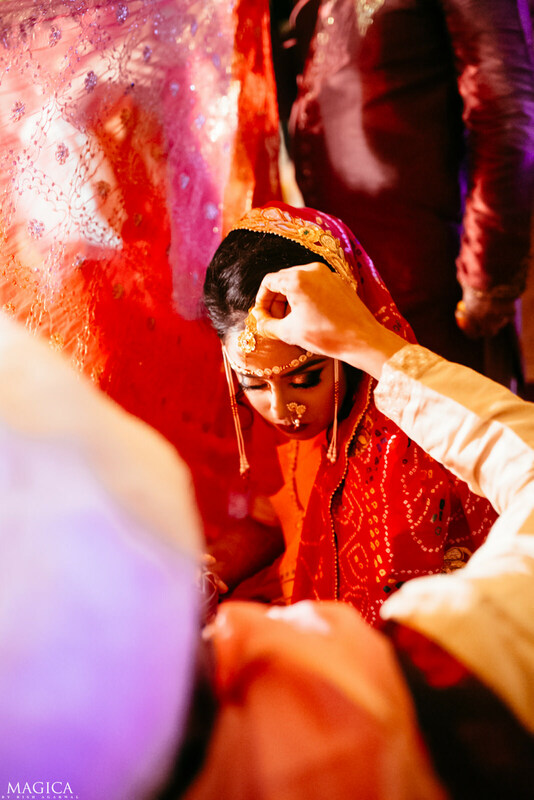 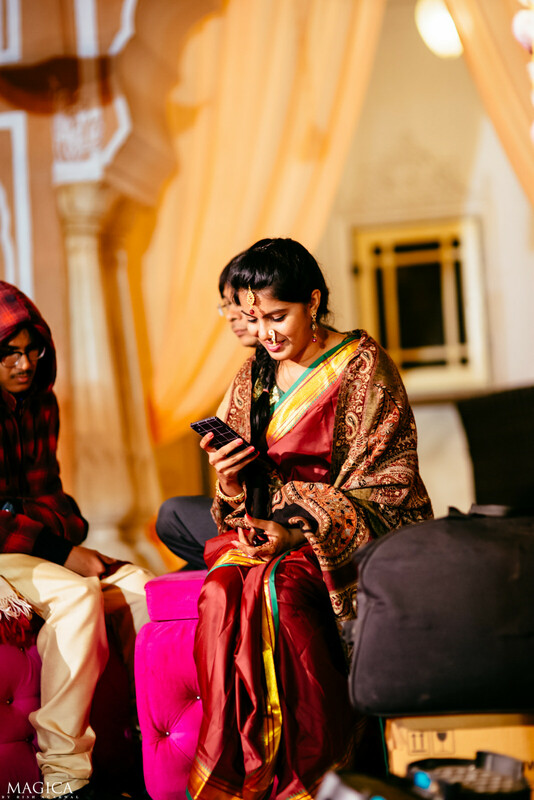 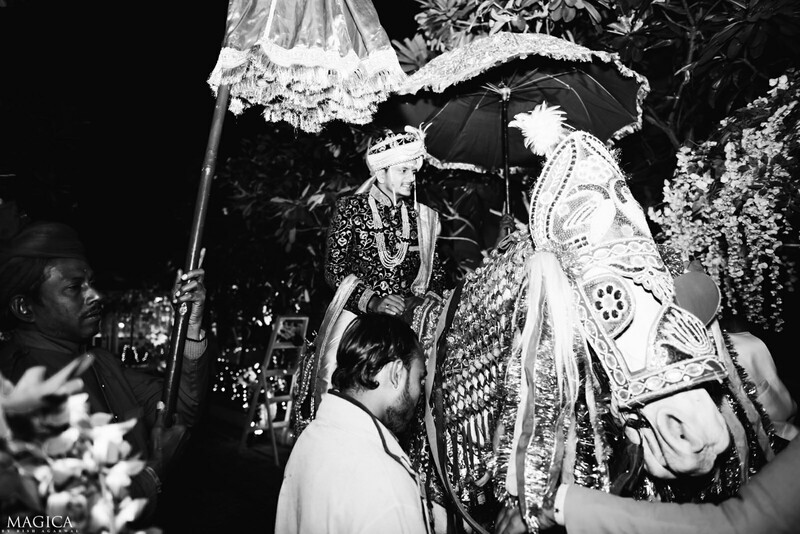 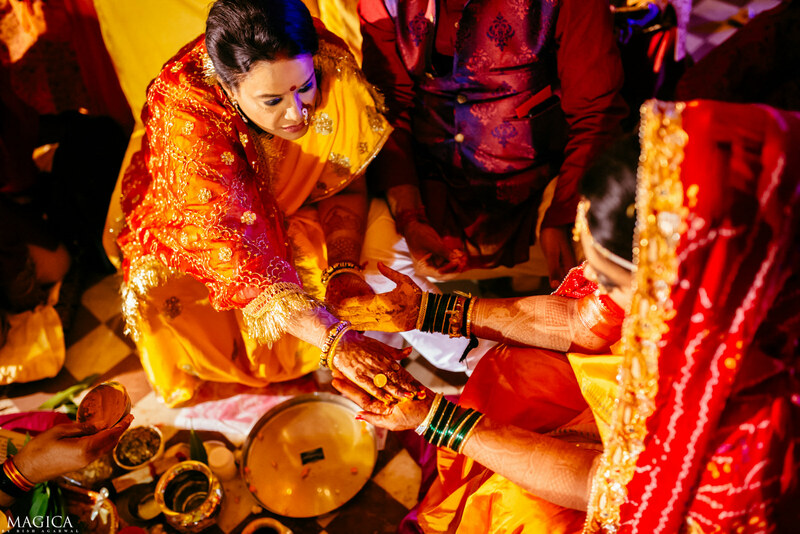 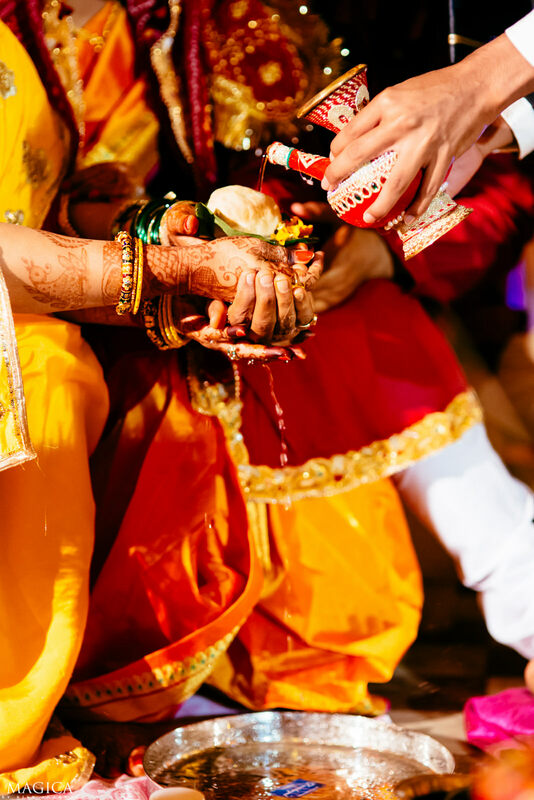 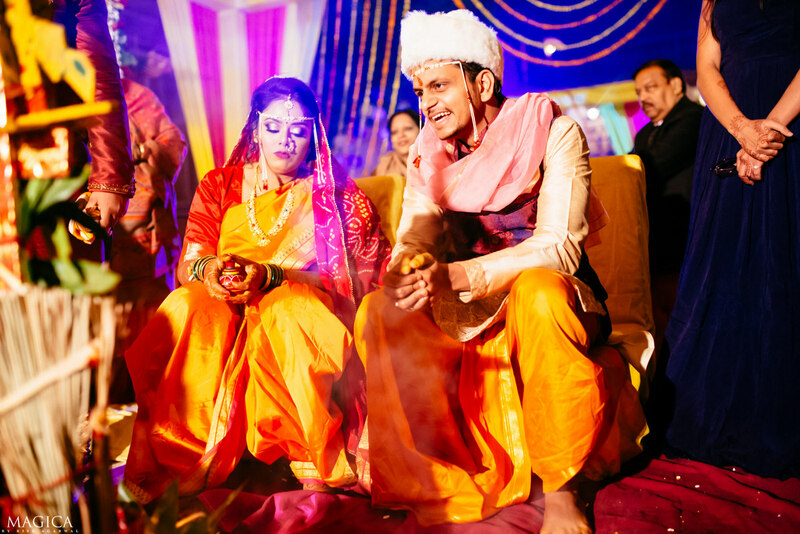 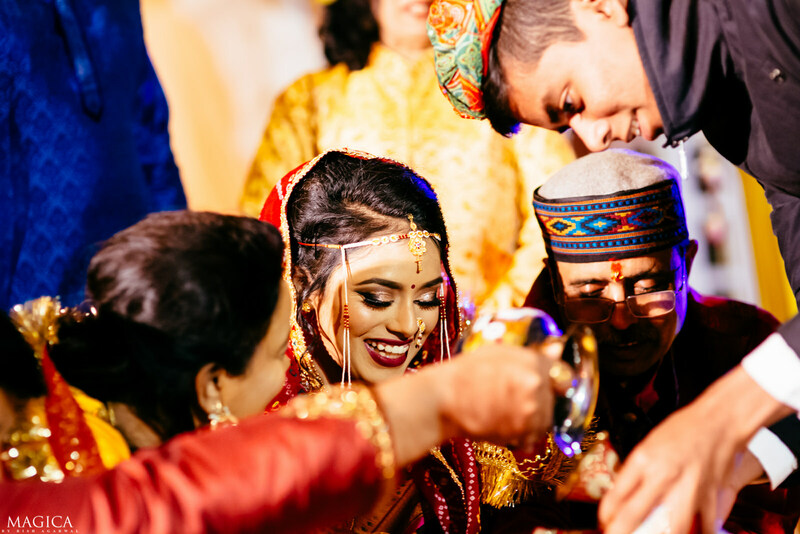 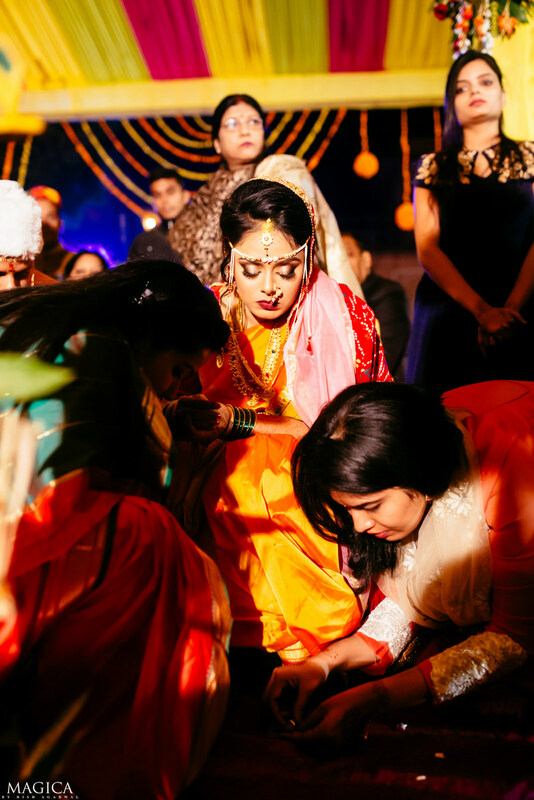 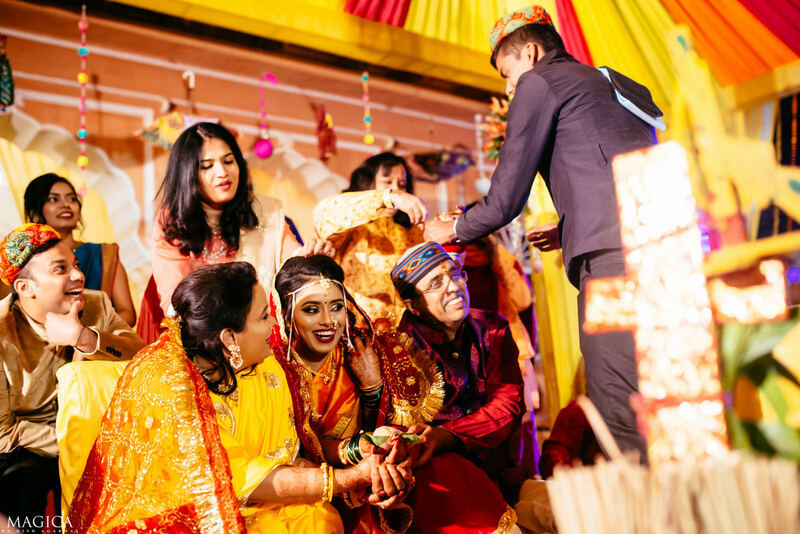 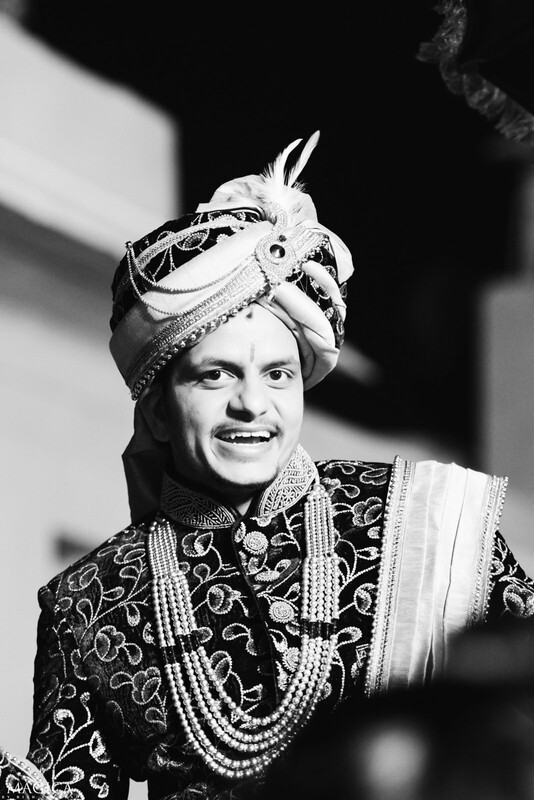 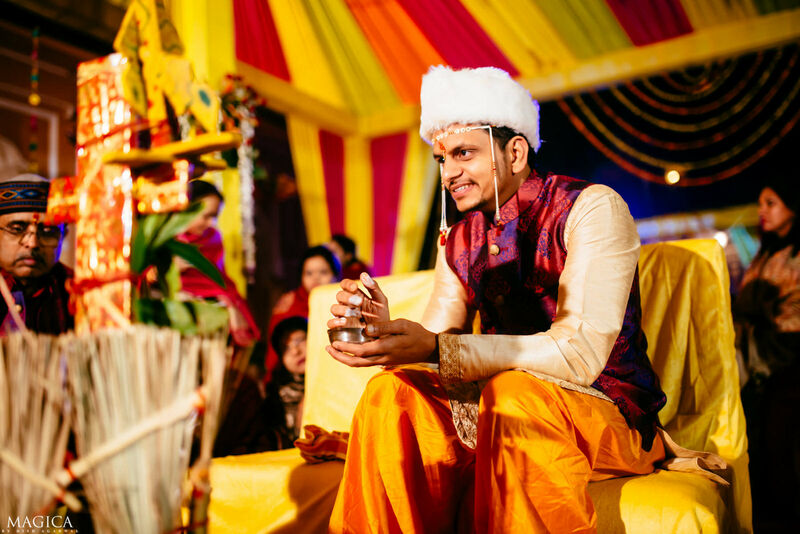 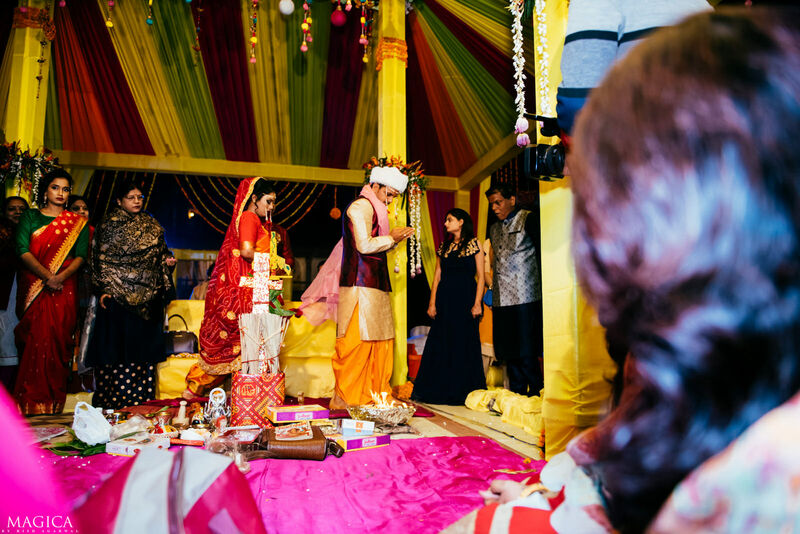 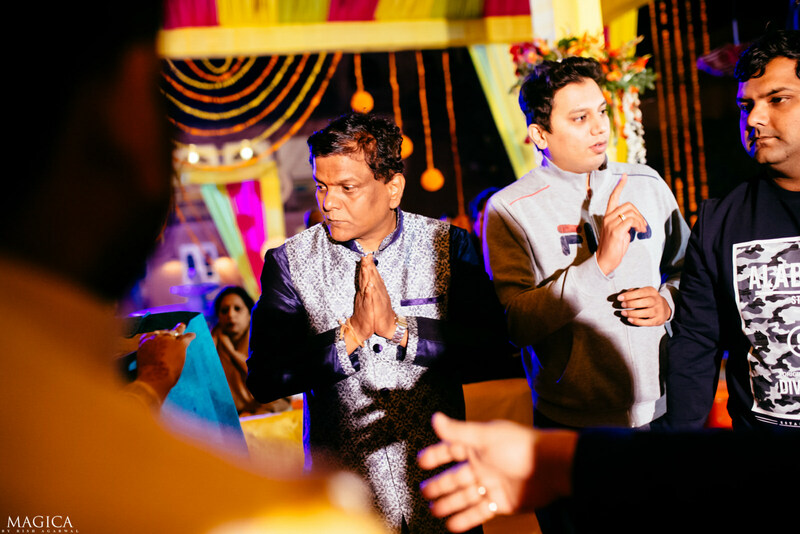 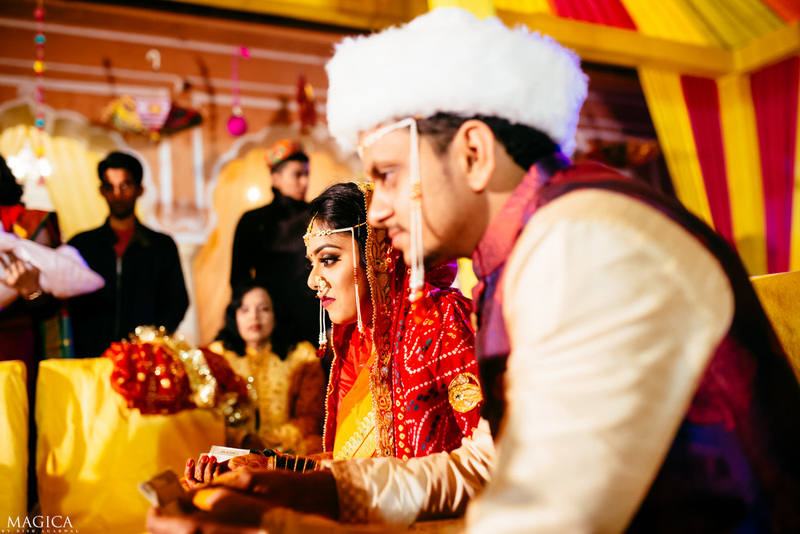 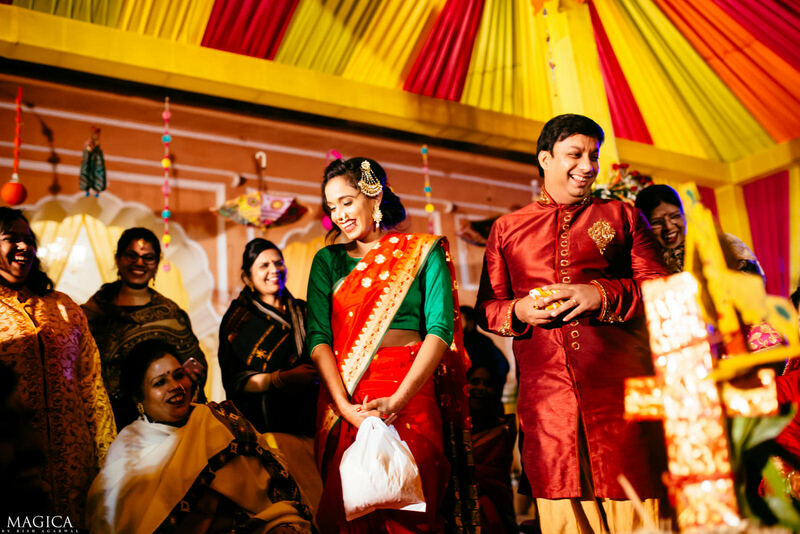 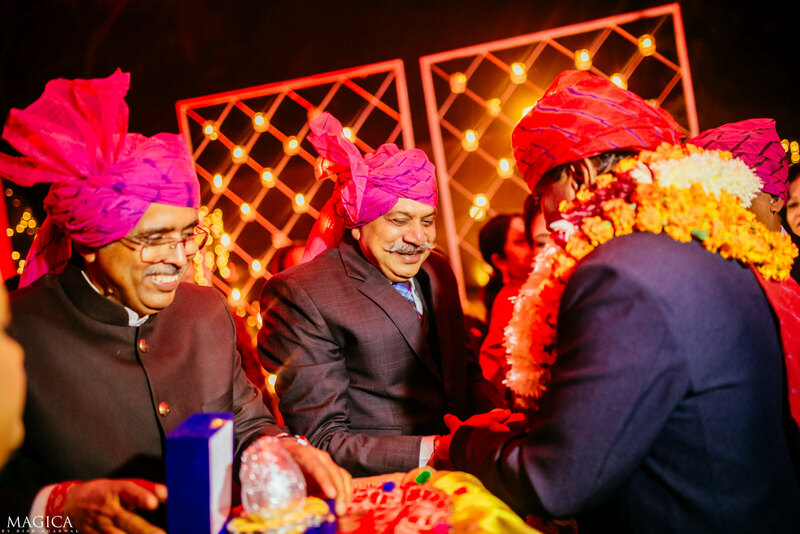 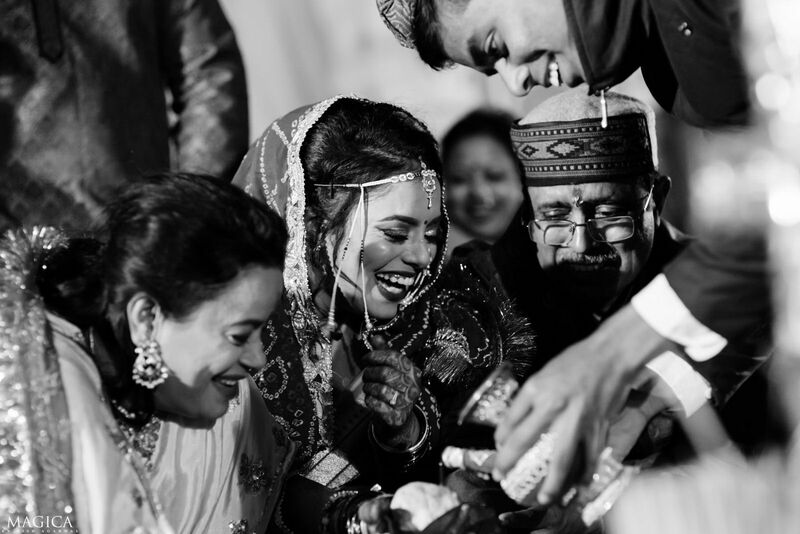 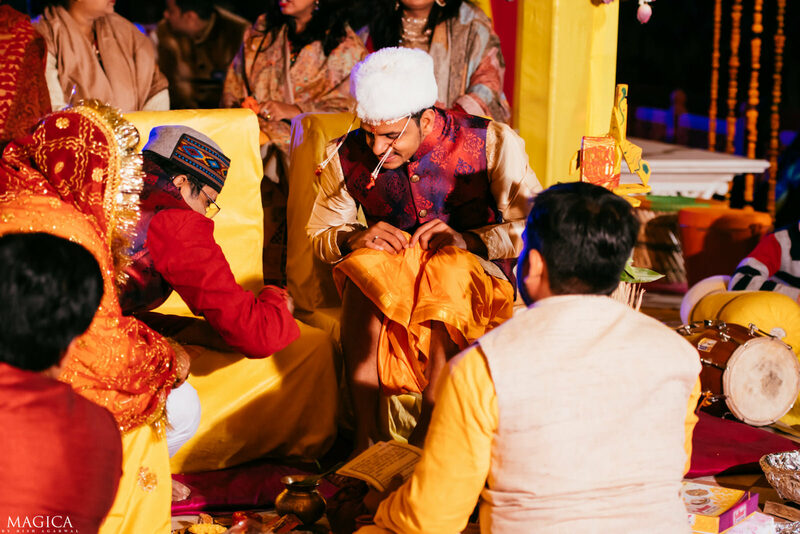 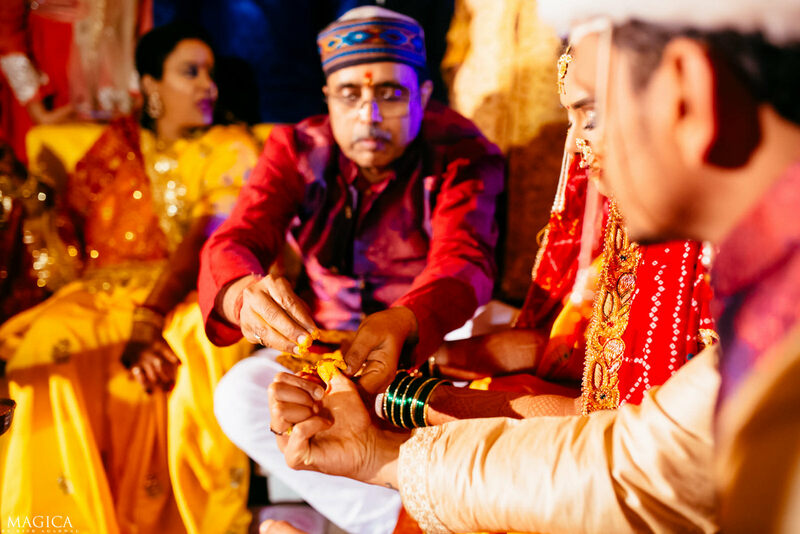 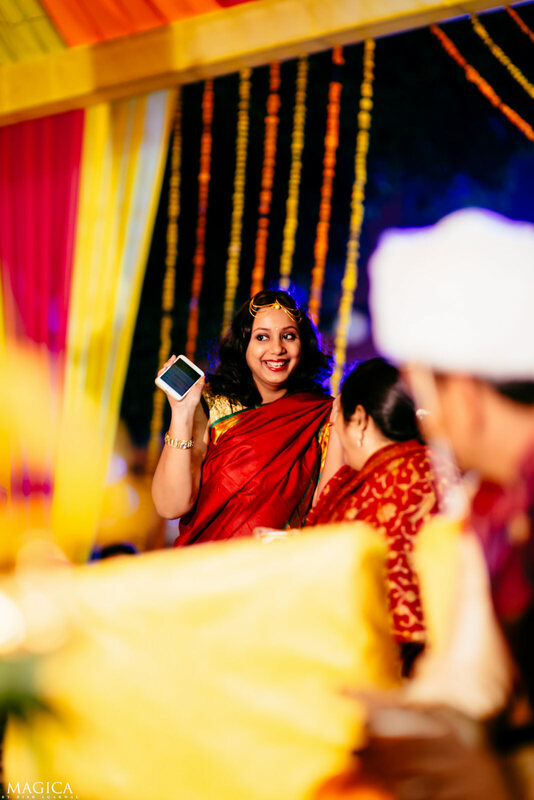 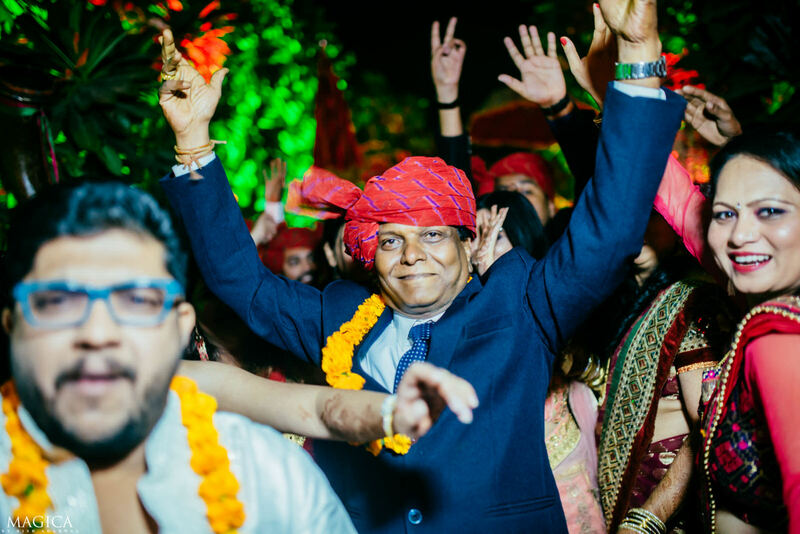 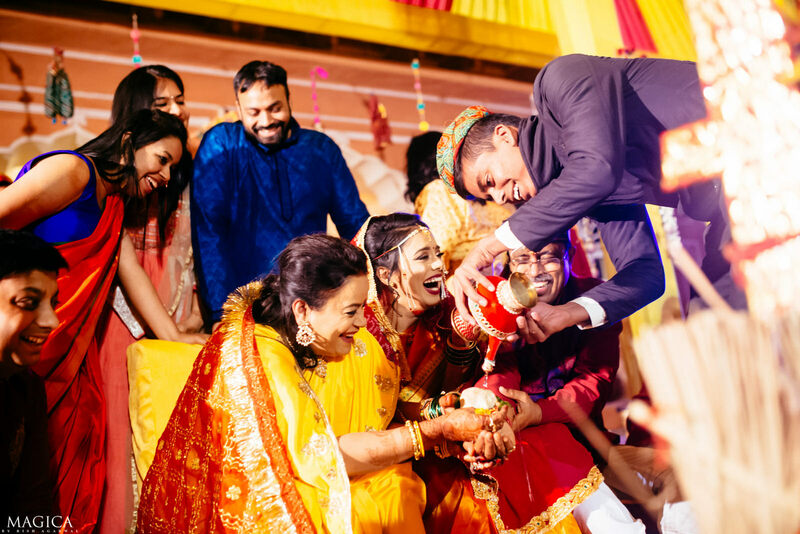 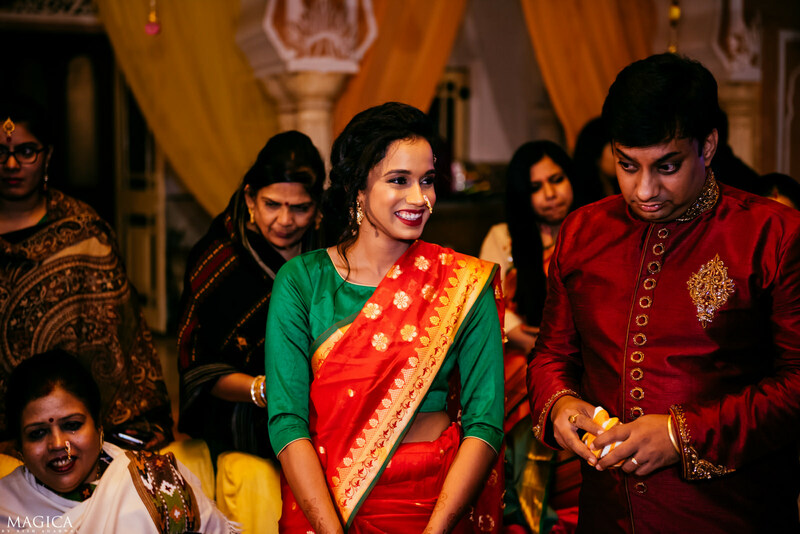 And with Swapnil’s negotiations with Aniket, their wedding commenced!